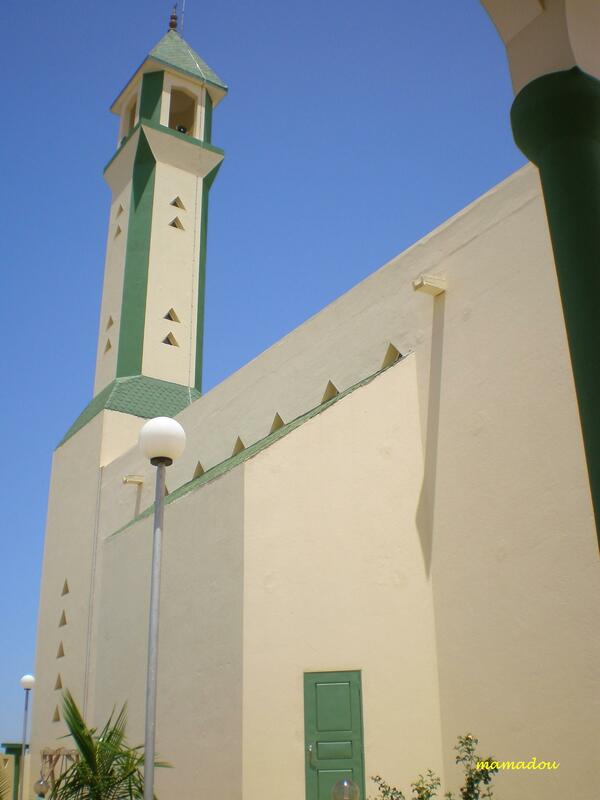 Islam – MMM's "Everything is Possible"
West Africa received the presence of Islam through North African traders who traveled with their camel caravans south of the Sahara. 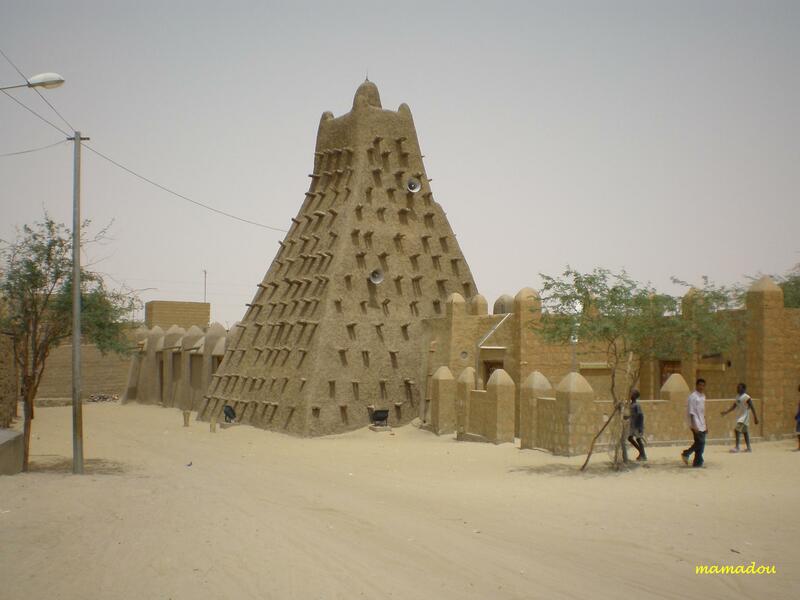 By the 14th century there were already Muslim sultanates in such areas as Mali, and Timbuktu in West Africa become centre of Islamic knowledge. 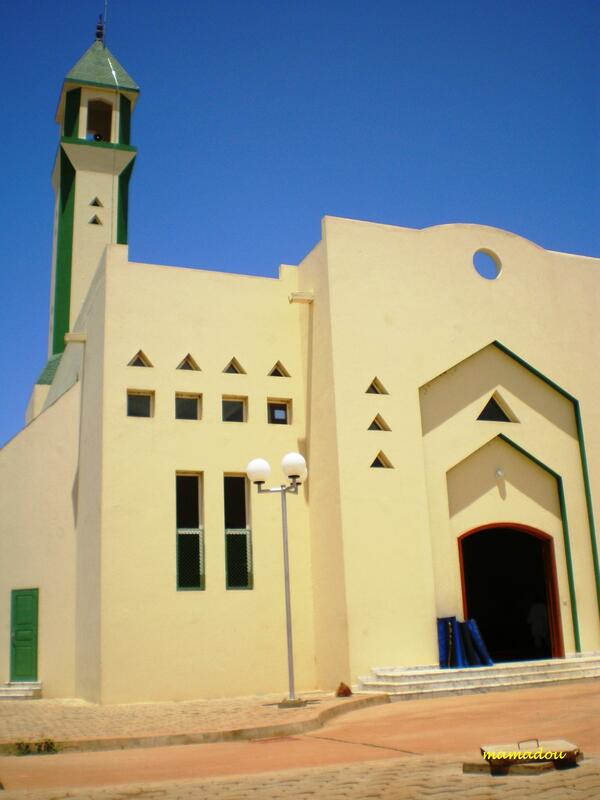 The process of the Islamisation of Africa continues even during the colonial period and continues until today. 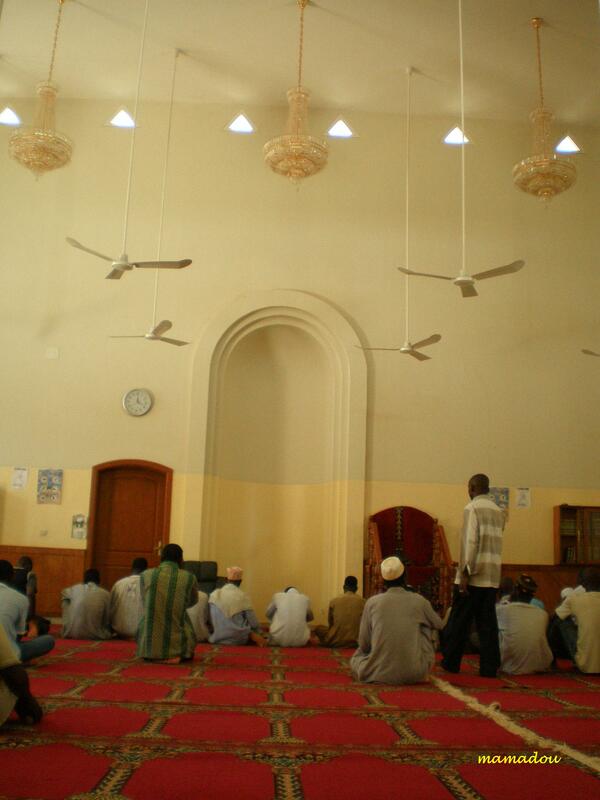 Most Africans Muslims are caring on a tradition which has had practically as long a history in certain areas of sub-Saharan Africa as Islam itself. 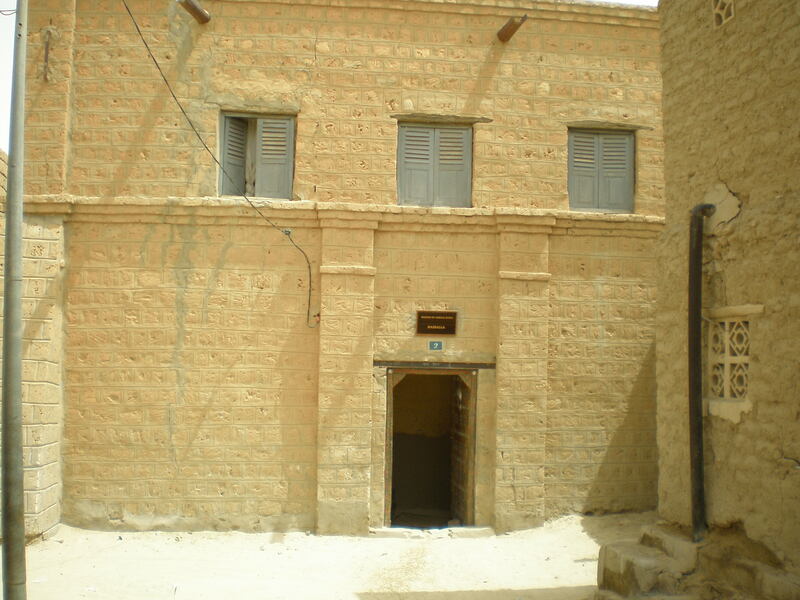 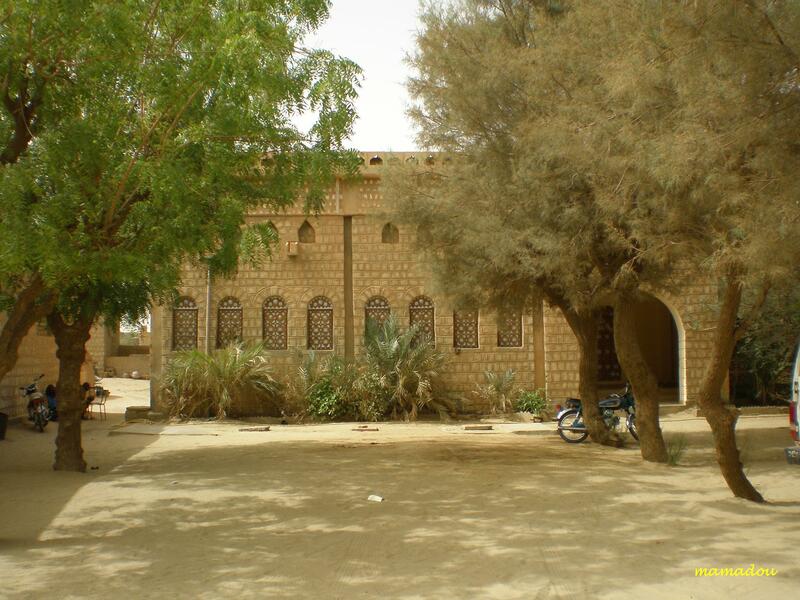 The University of Timbuktu was established in Mali, comprised of three schools; namely the Masjid Sankoré, the Masjid Djingare Ber and the Masjid Sidi Yahya. 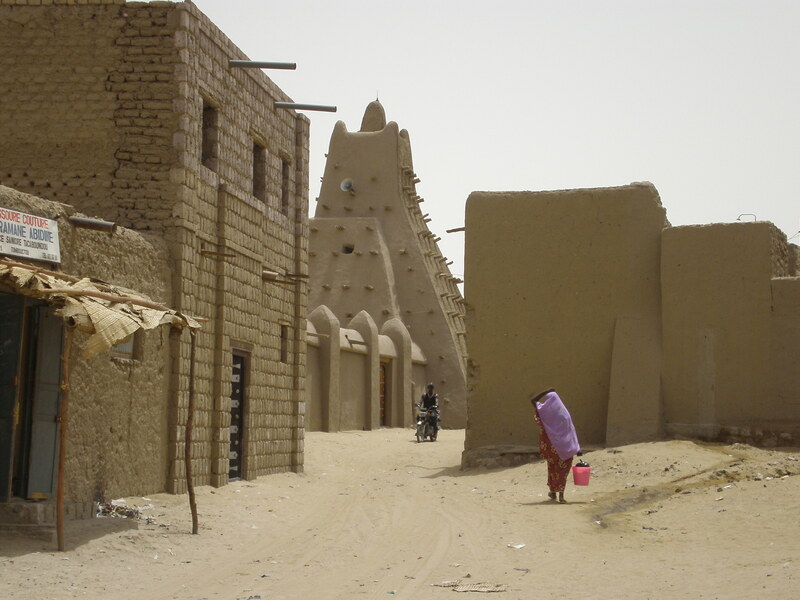 During its height, the university at Timbuktu had an average attendance of around 25,000 students and 180 quran madrassah within a city of around 100,000 people. 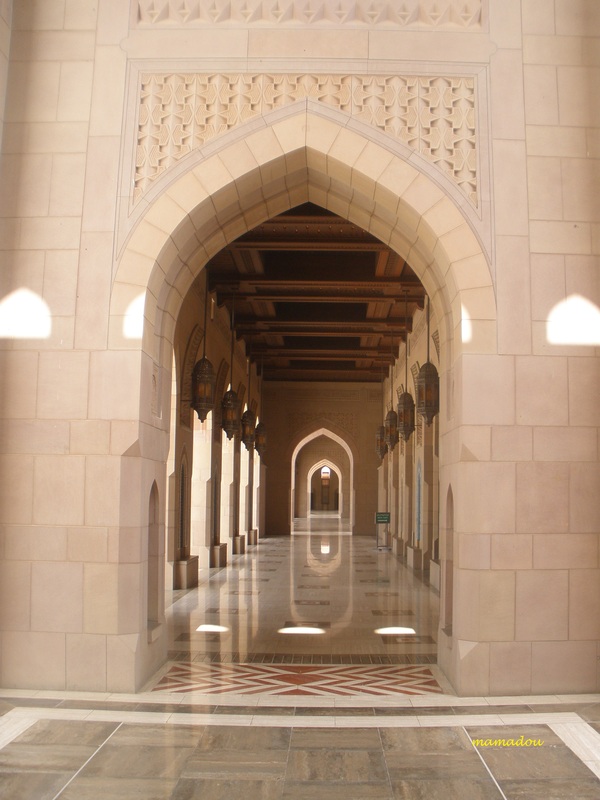 There were four levels within the University curriculum that included the “Circle of Knowledge”, the “Superior Degree”, the “Secondary Degree”, and the “Primary Degree”. 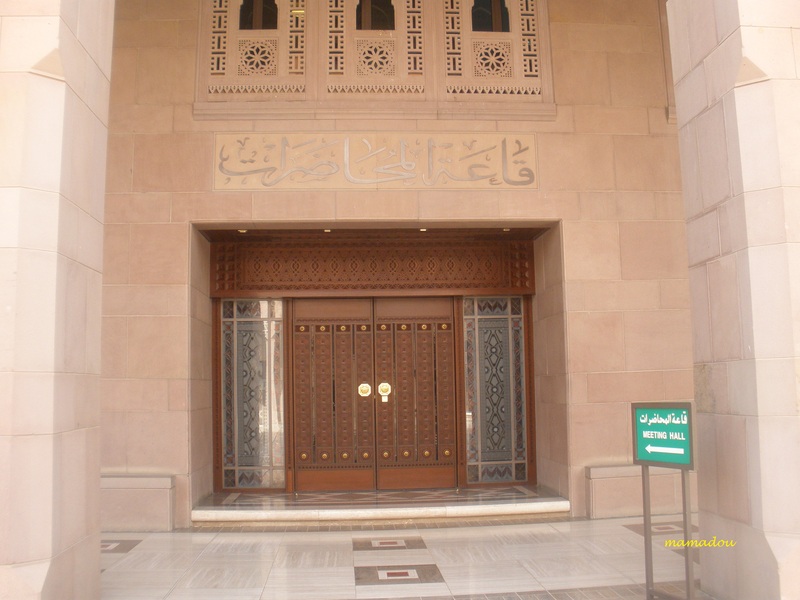 Teachings mostly consisted of Quranic principles; however, literature covering topics of science, mathematics, and medicine are also observed, among other disciplines. 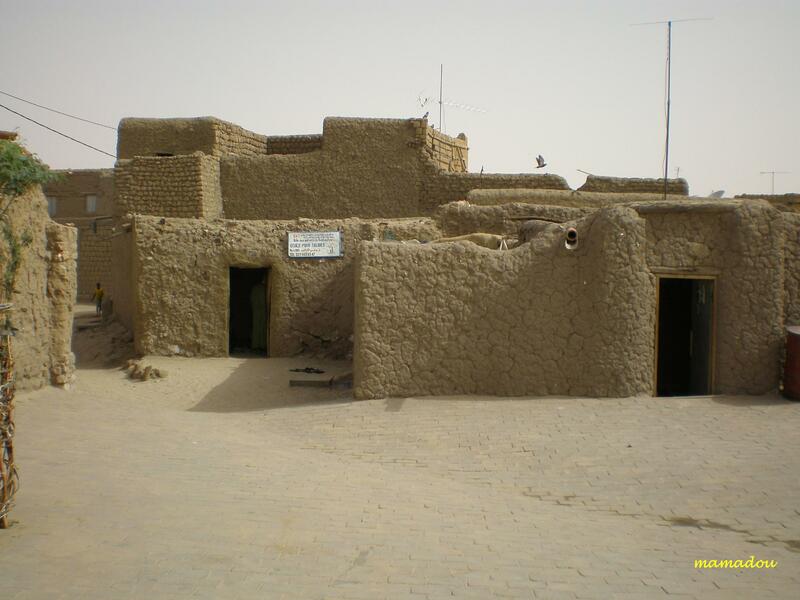 Sankoré Madrasah, Masjid Sankoré or The University of Sankoré, is one of three ancient centers of learning located in Timbuktu, Mali. 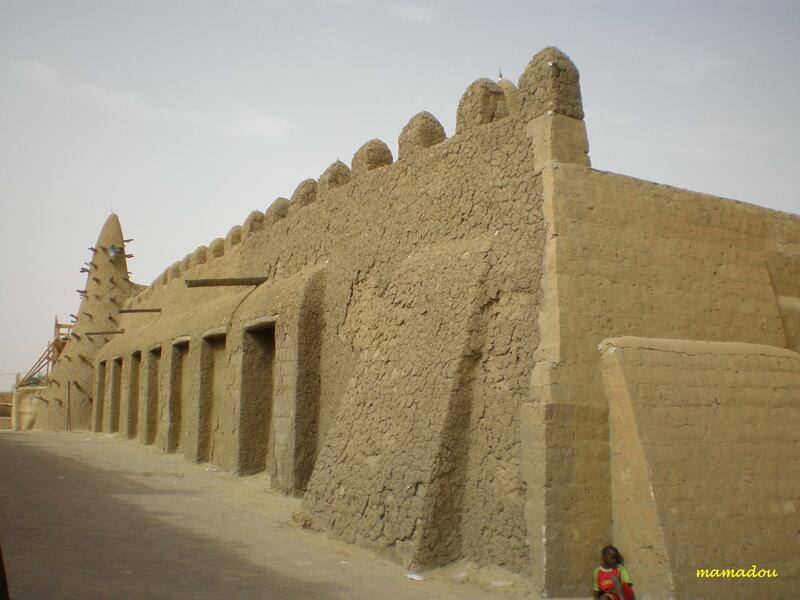 When the Mali Empire during the rein of Kanka Moussa gained direct control over the city of Timbuktu in 1324, Kanka Moussa brought the Granada architect Abu Ishaq es Saheli from Egypt to help build mosques and palaces throughout the empire. 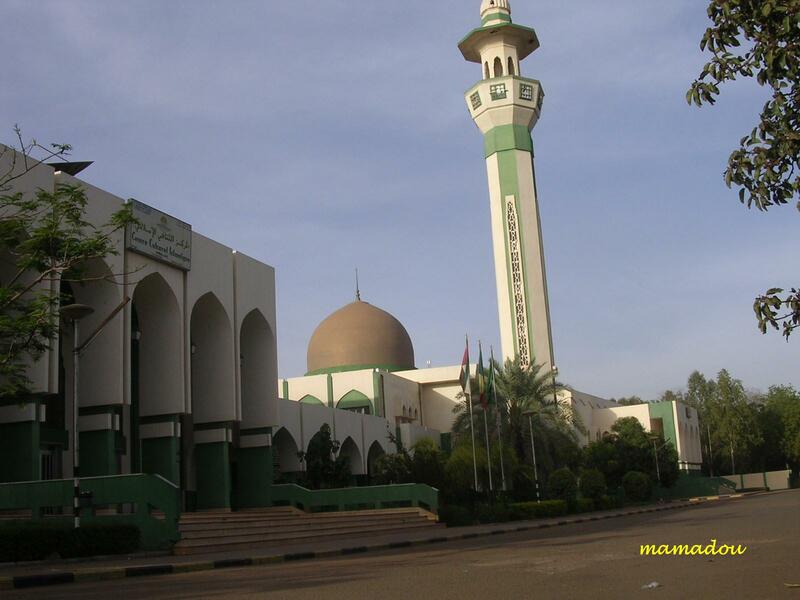 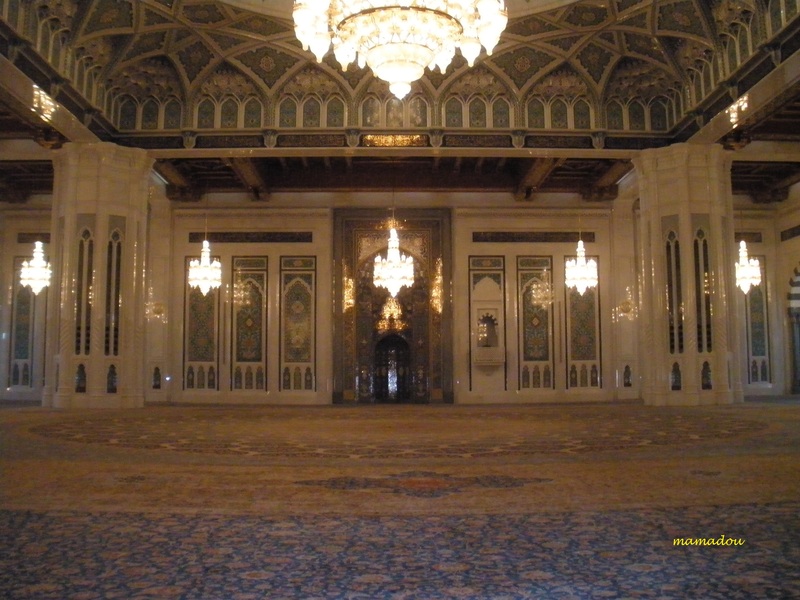 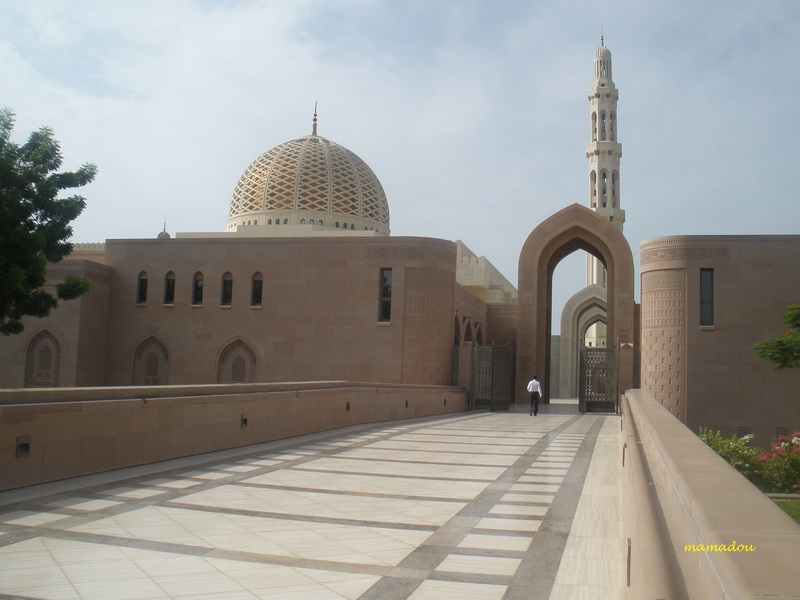 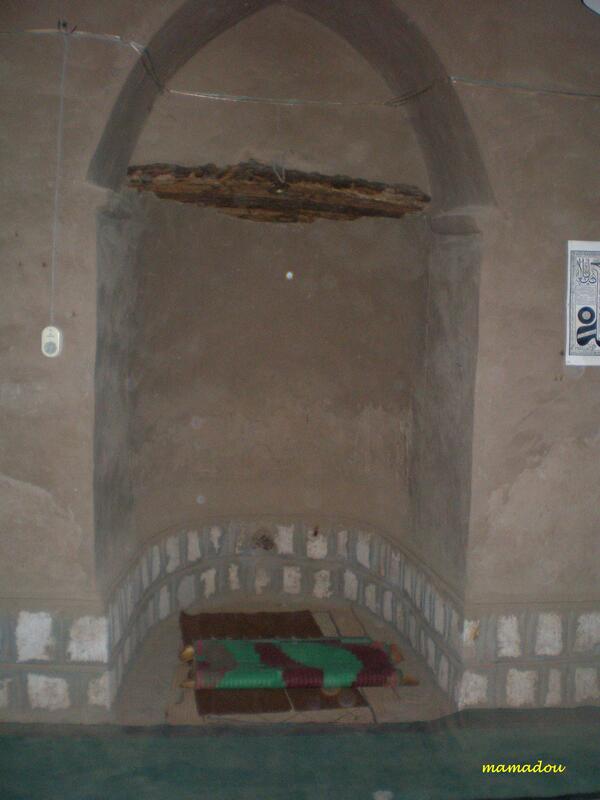 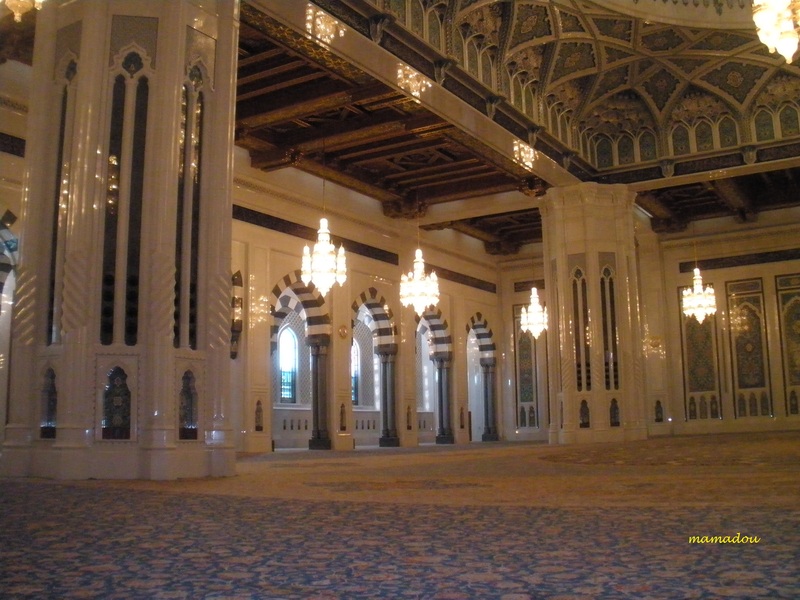 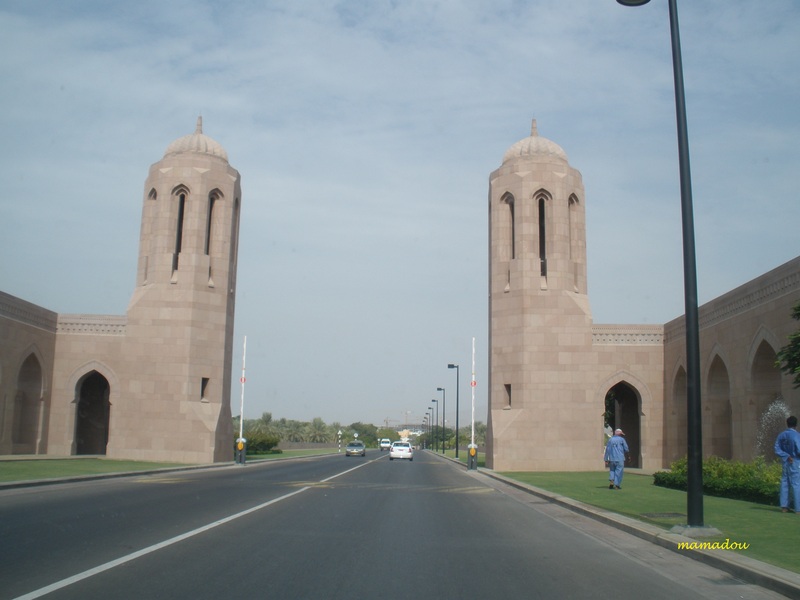 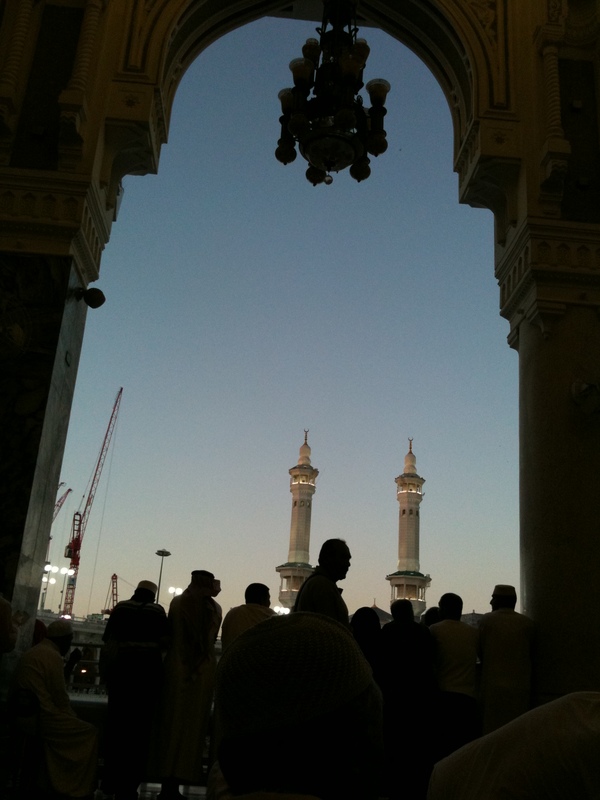 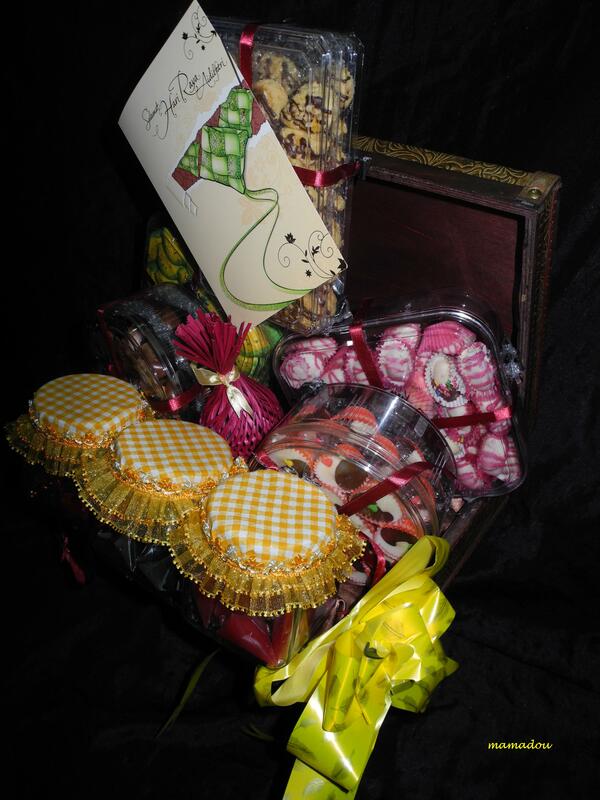 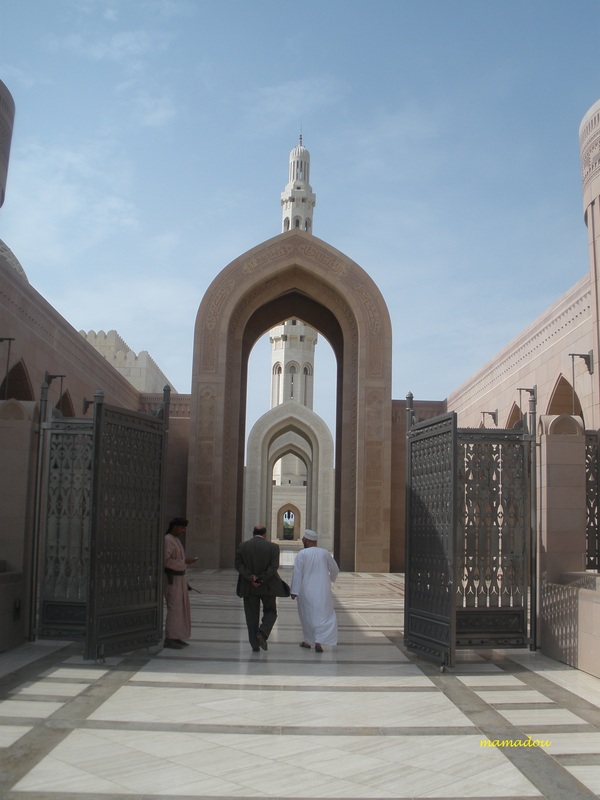 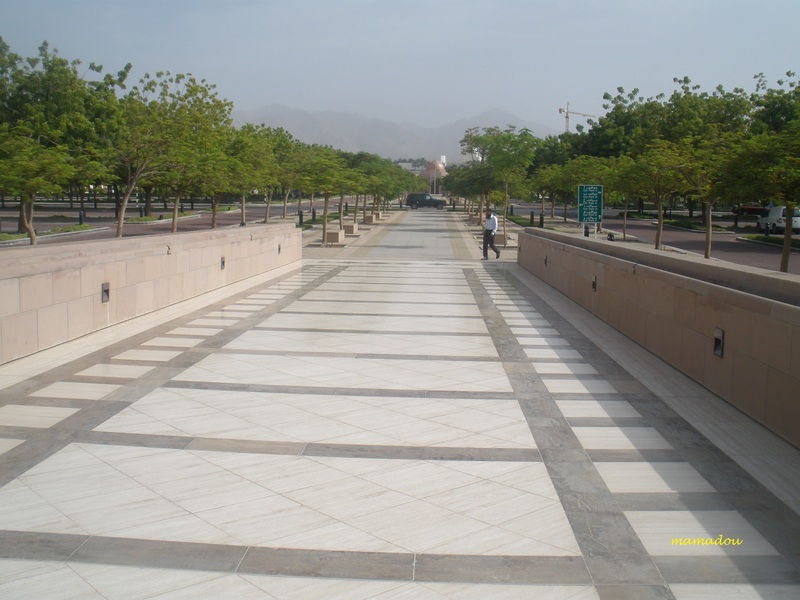 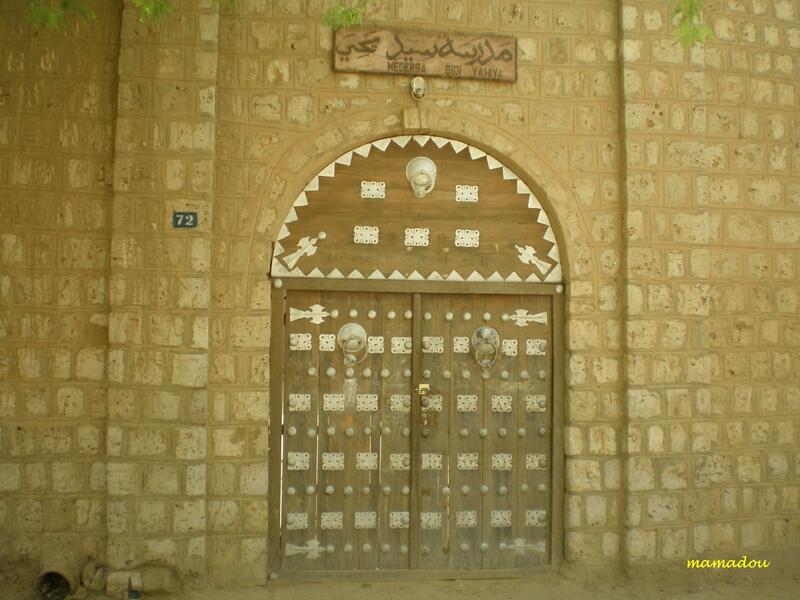 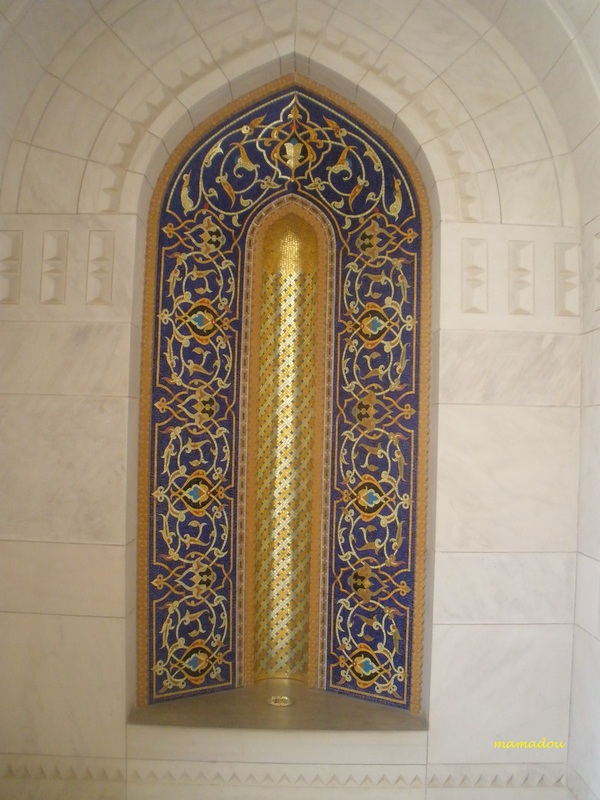 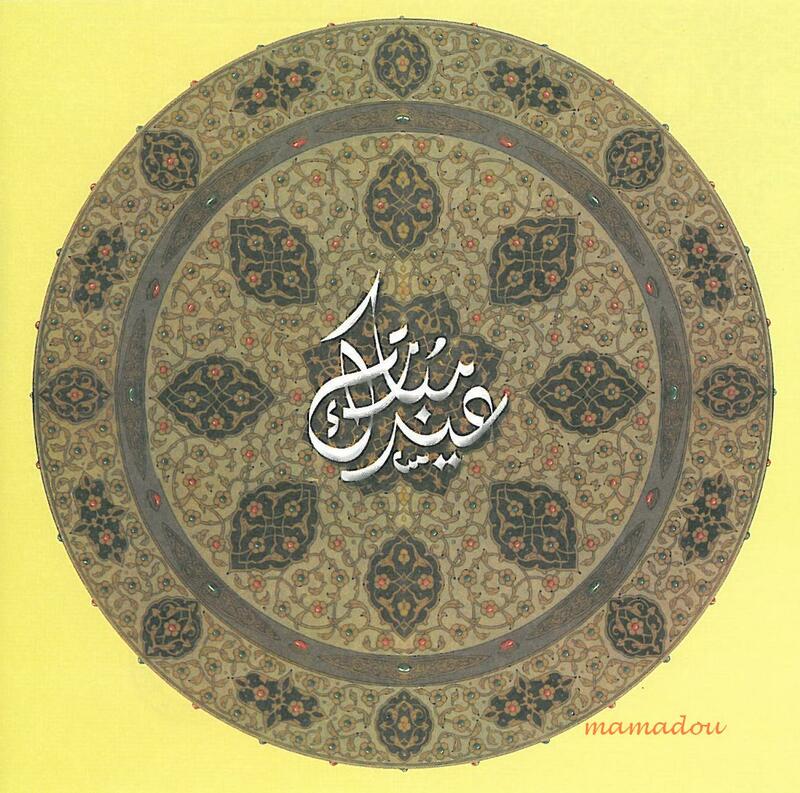 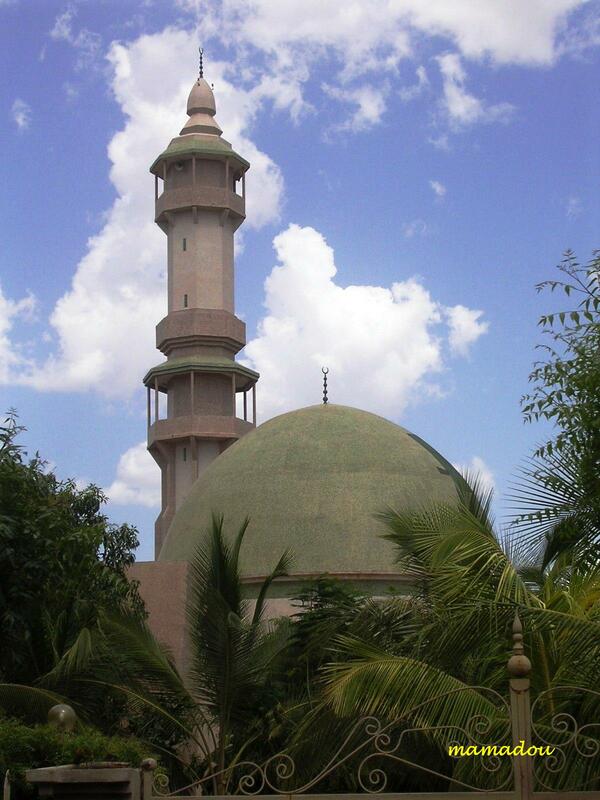 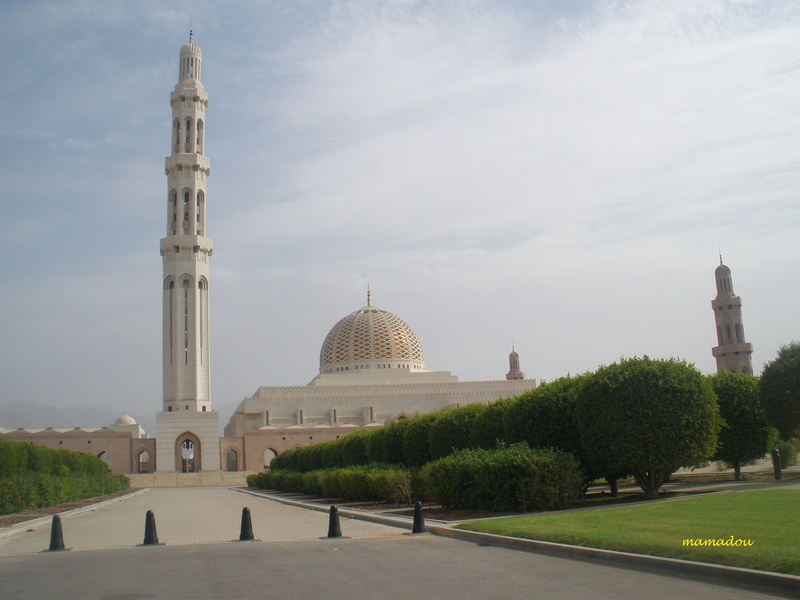 Abu Ishaq es Saheli designed and saw the construction of one of Sankore’s first great mosques. 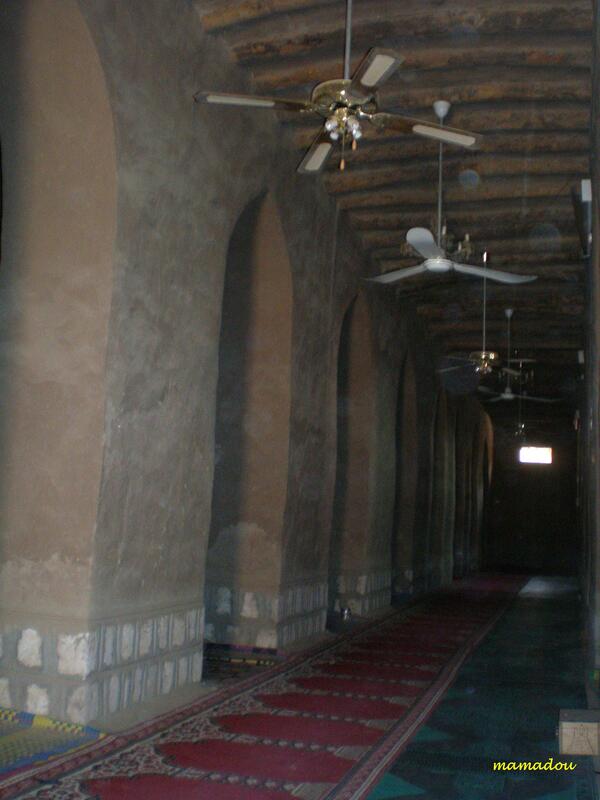 The foundations of the previous structure were laid around 989 A.D. on the orders of the city’s chief judge Al-Qadi Aqib ibn Mahmud ibn Umar. 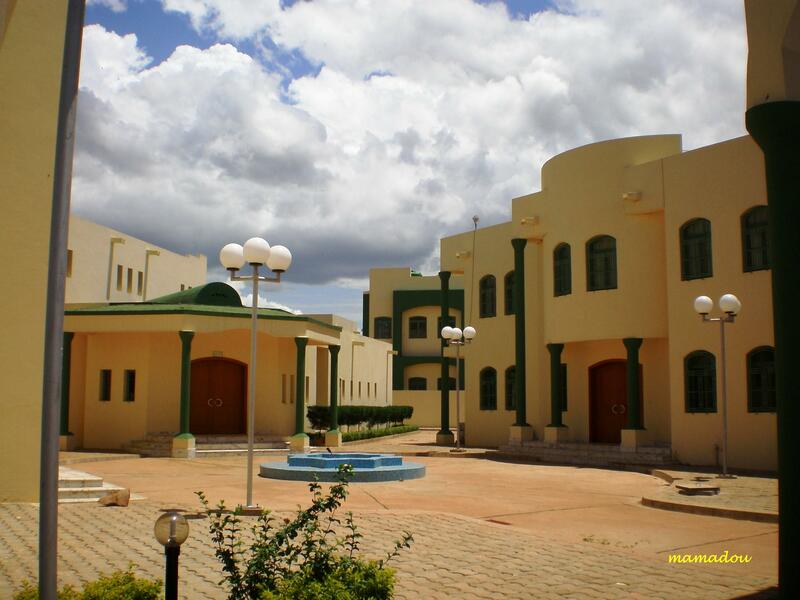 A local Mandinka lady, esteemed for her wealth, financed her plans to turn Sankoré into a world class learning institution with professors on par with any outside of Africa. 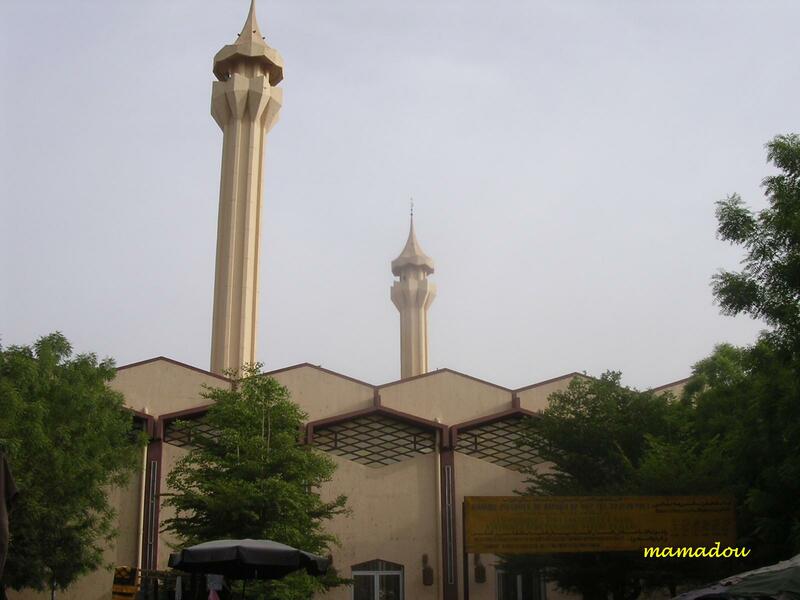 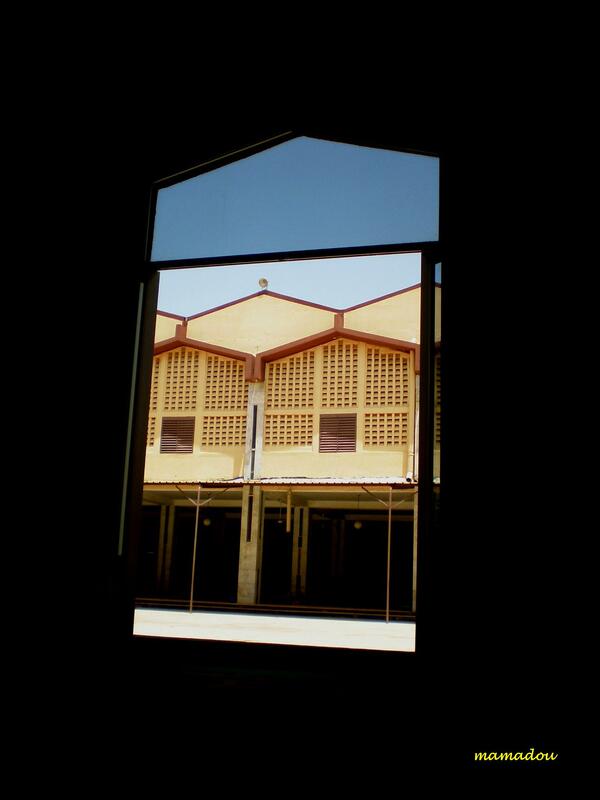 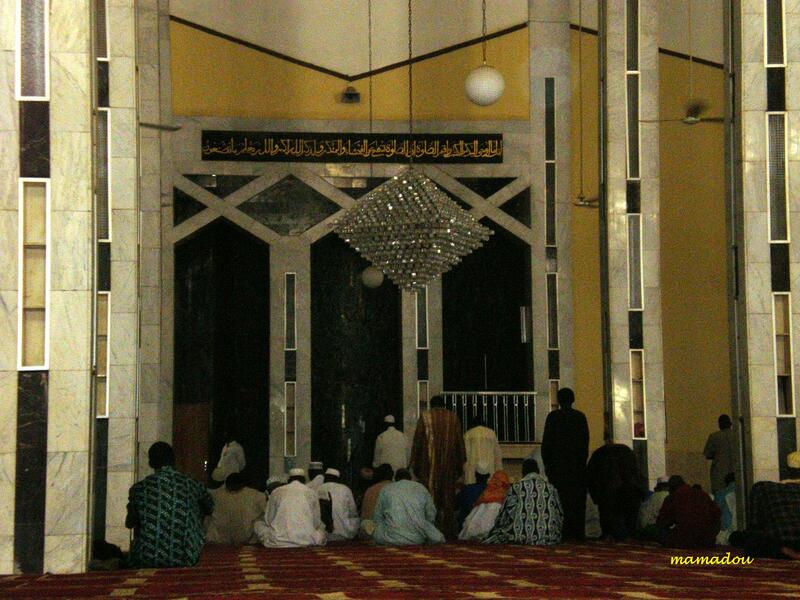 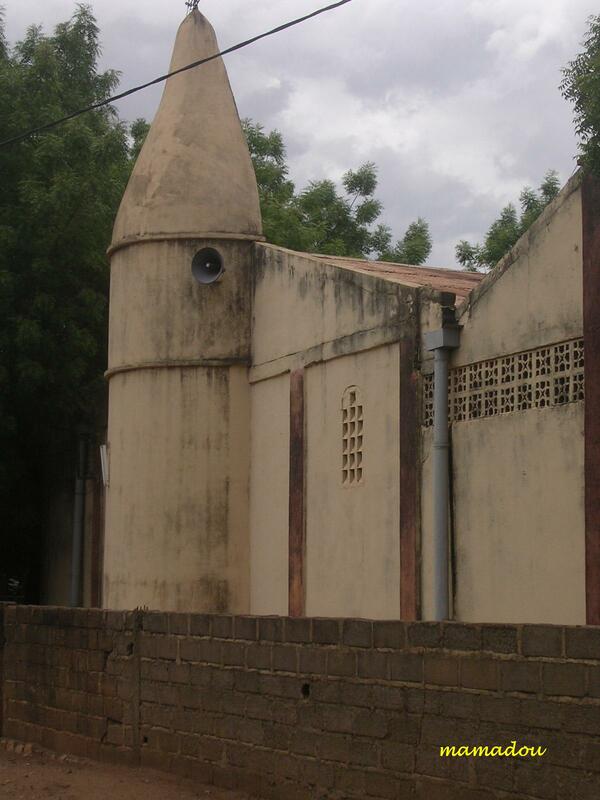 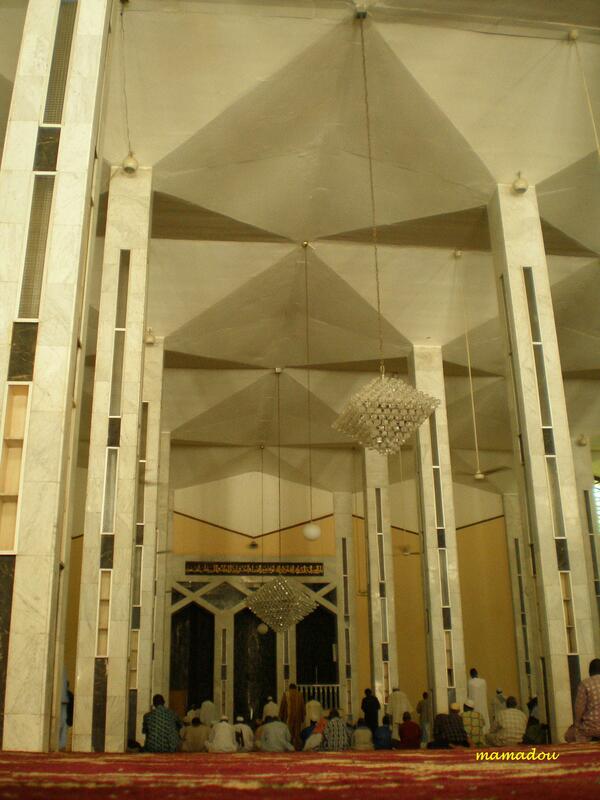 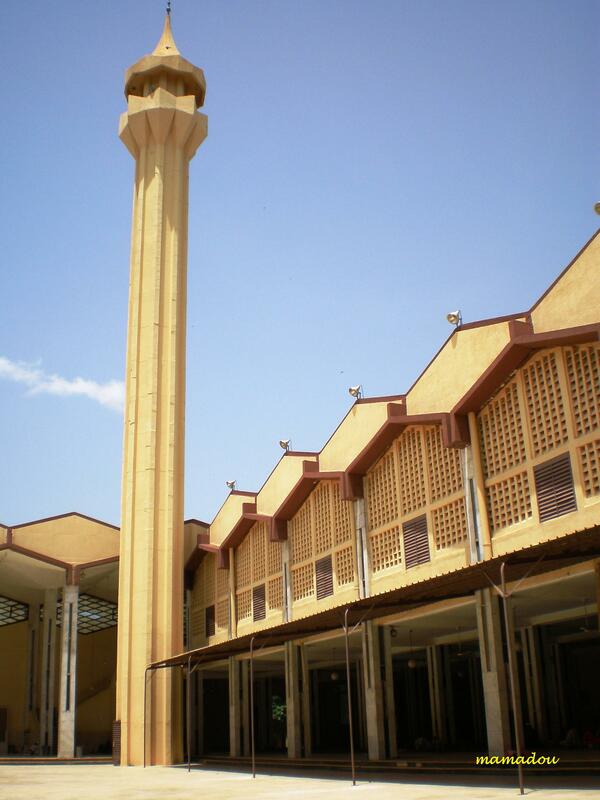 The Sankoré Masjid had been a fully staffed Madrassah or university with the largest collections of books in Africa. 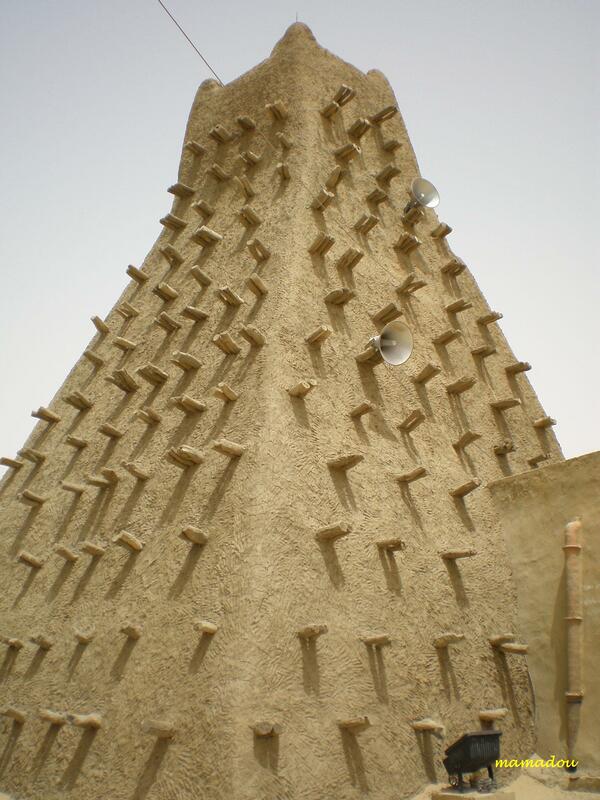 The level of learning at Timbuktu’s Sankoré Masjid was on a par with other Islamic centers in the world. 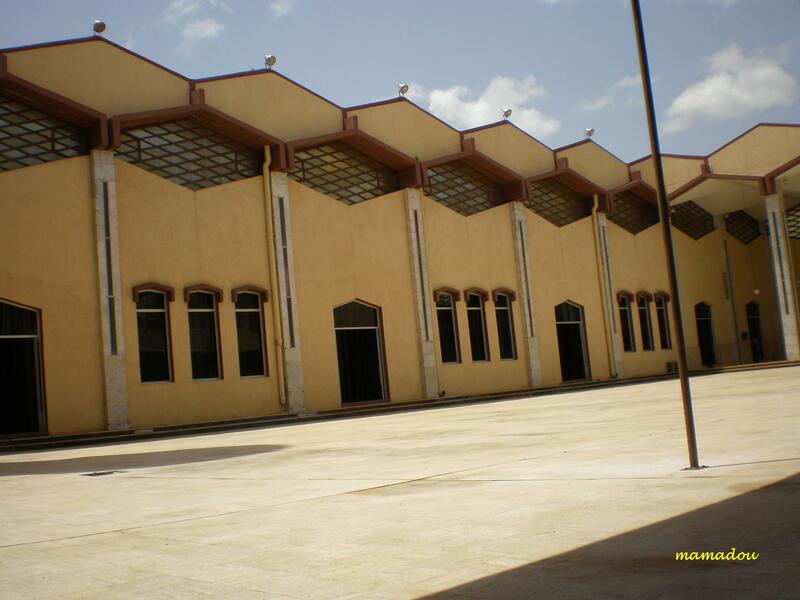 The Sankoré Masjid was capable of housing 25,000 students and had one of the largest library in the world with between 400,000 to 700,000 manuscripts. 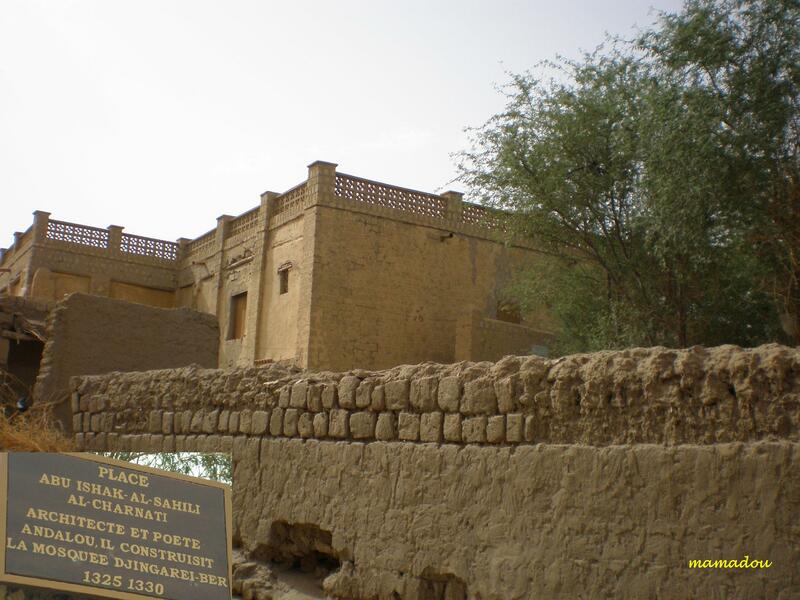 The Masjid Djingarey Ber was a famous learning centre of Mali built in 1327 and designed by Abu Ishaq es Saheli who was paid 200 kg (40,000 mithqals) of gold by Kankan Moussa, emperor of the Mali Empire. 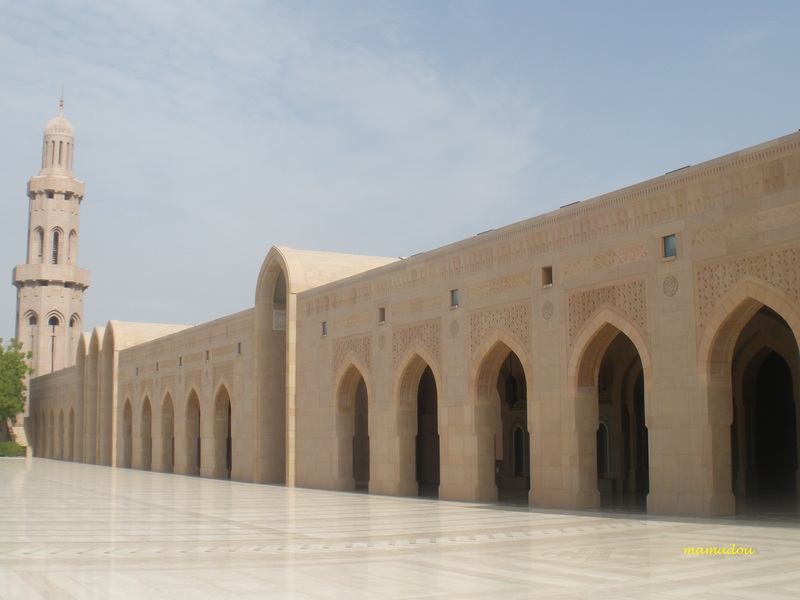 Except for a small part of the northern facade which is limestone, the Djingareyber Mosque is made entirely of earth plus organic materials such as fibre, straw and wood. 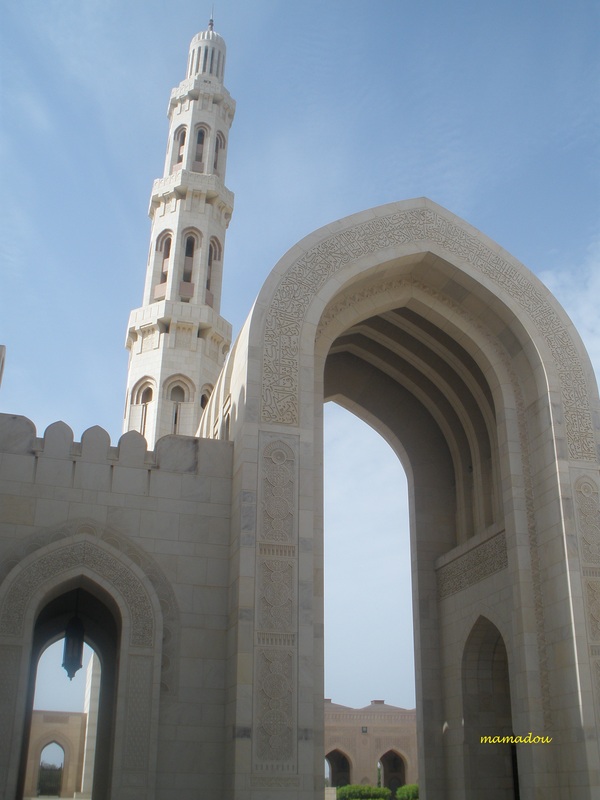 It has three inner courts, two minarets and twenty five rows of pillars aligned in an east-west direction and prayer space for 2,000 people. 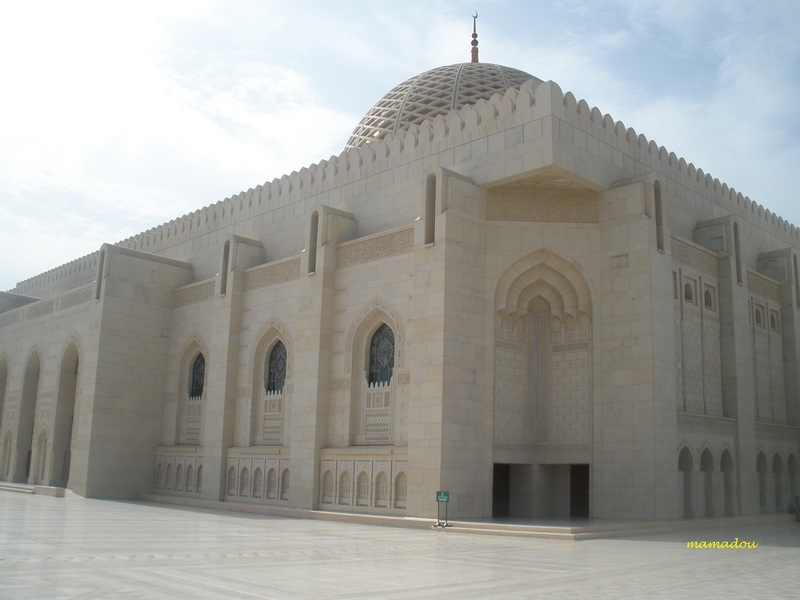 Masjid Djingarey Ber was on the list of UNESCO World Heritage Sites in 1988 and currently under massive restoration and rehabilitation which funded by the Aga Khan Trust for Culture (AKTC). 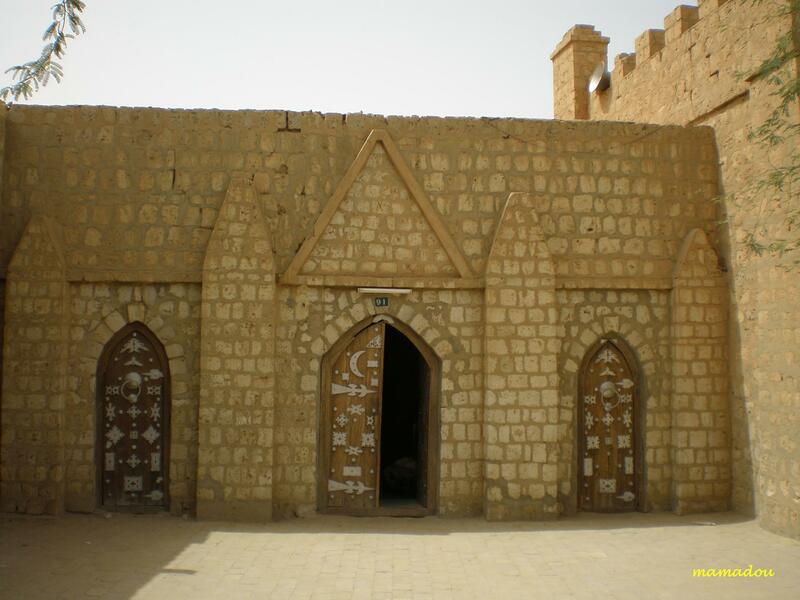 The Masjid Sidi Yahya was built in 1400 by Sheikh El-Mokhtar Hamalla in expectation of a great holy person. 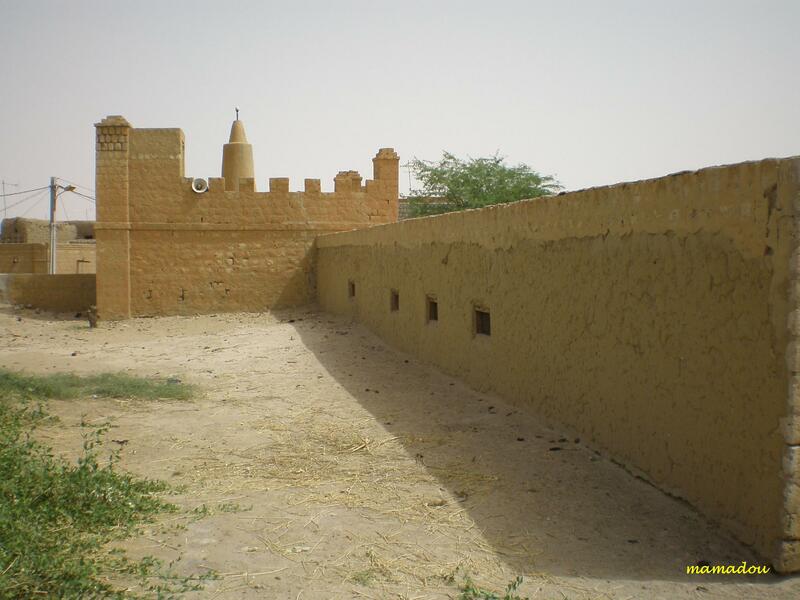 After 40 year without Imam, in 1441 Mohamed Naddah, the city-governor of Timbuktu, appointed his close friend Sidi Yahya from Andalusia (Sidi Yahya Tadelsi or Sidi Yahya Al Andulusi) as its first imam and head professor. 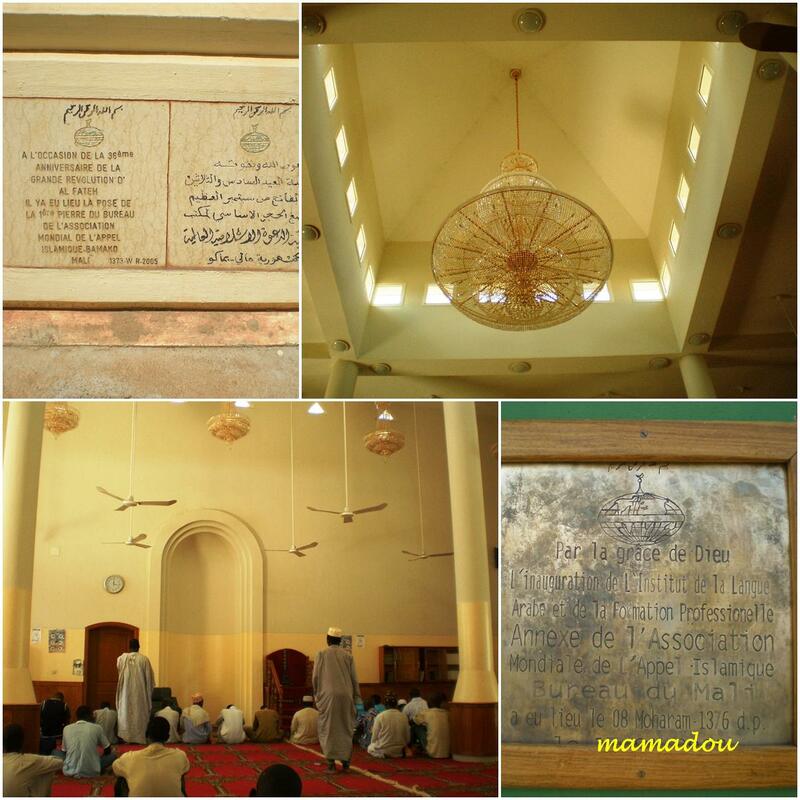 This marked the beginning of the mosque as a madrassah and a great centre of learning for the region. 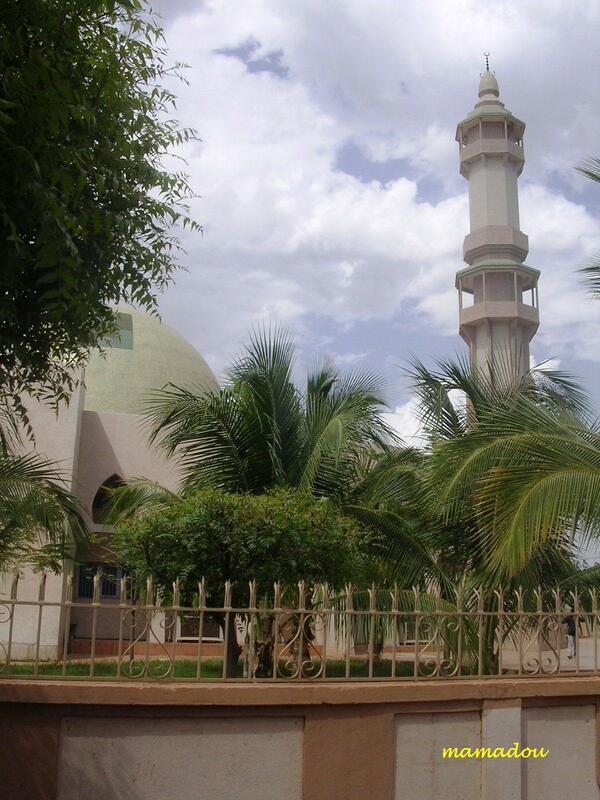 Masjid Sidi Yahya closely resembles the other famous mosques Sankore and Djingarey Ber. 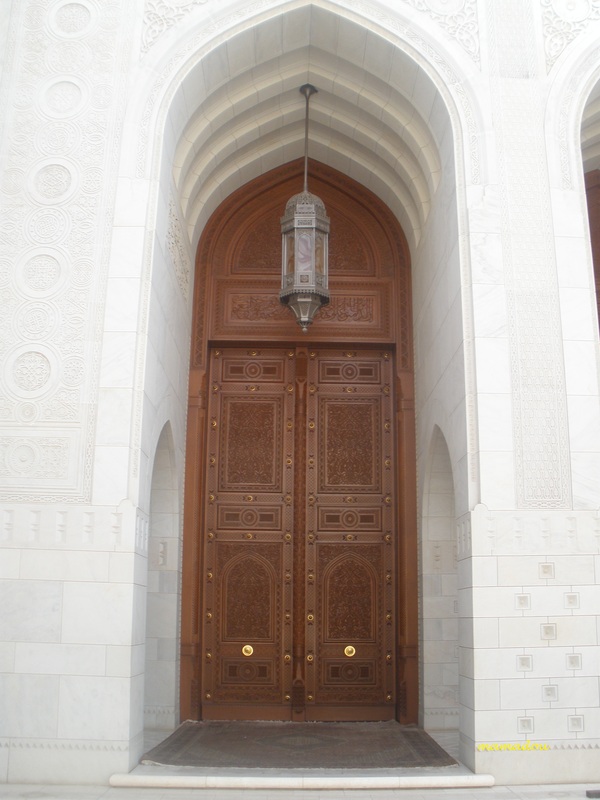 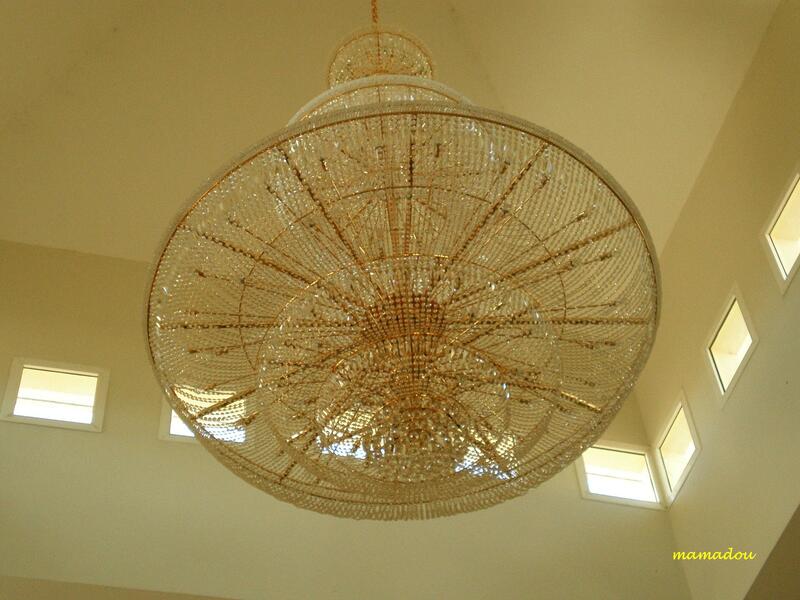 Main differences are it is not as tall and the doors are ornately made reflecting Moroccan architecture influence. 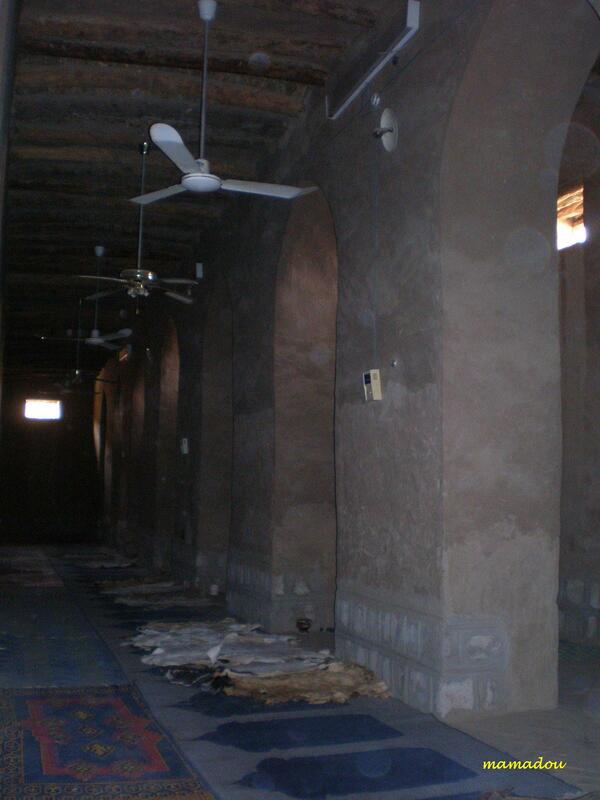 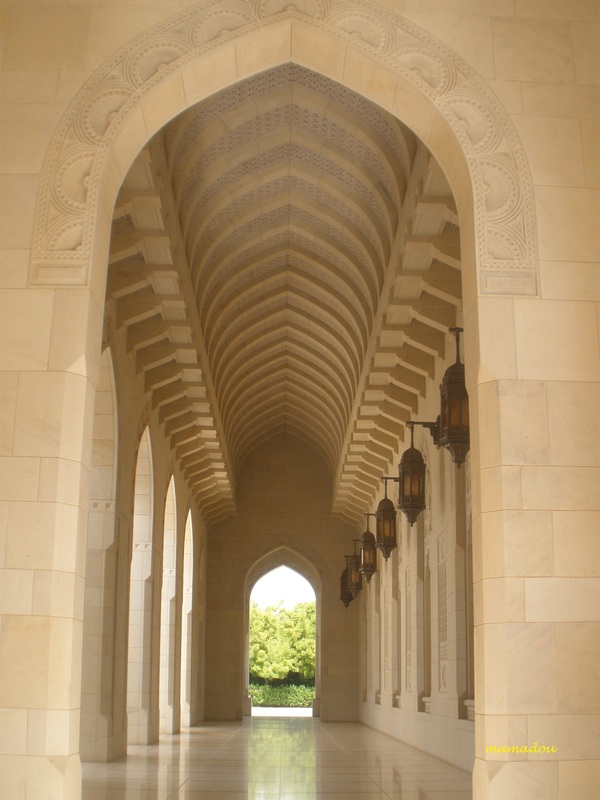 The mosque has three rows of pillars facing north-south. 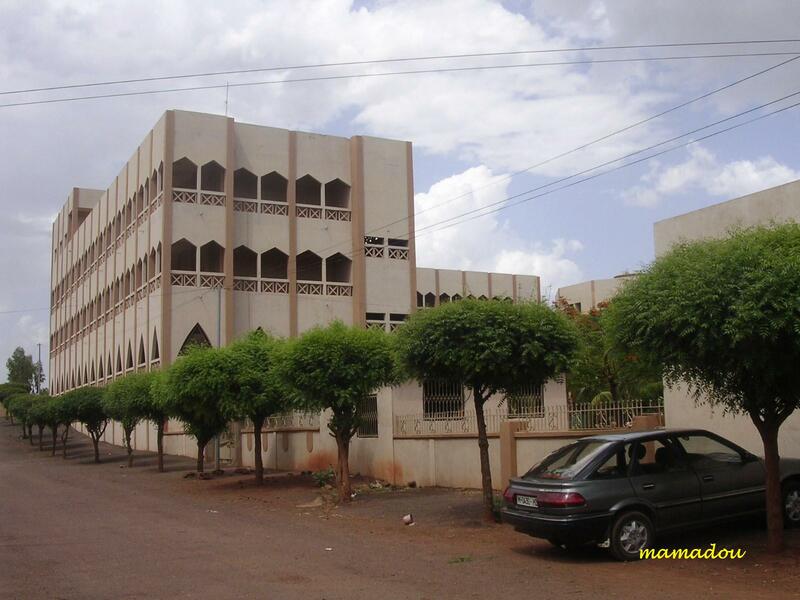 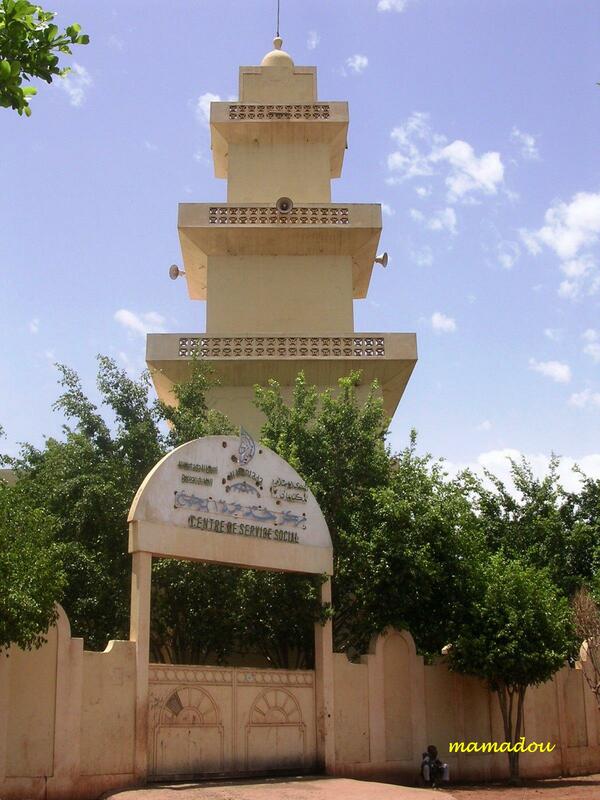 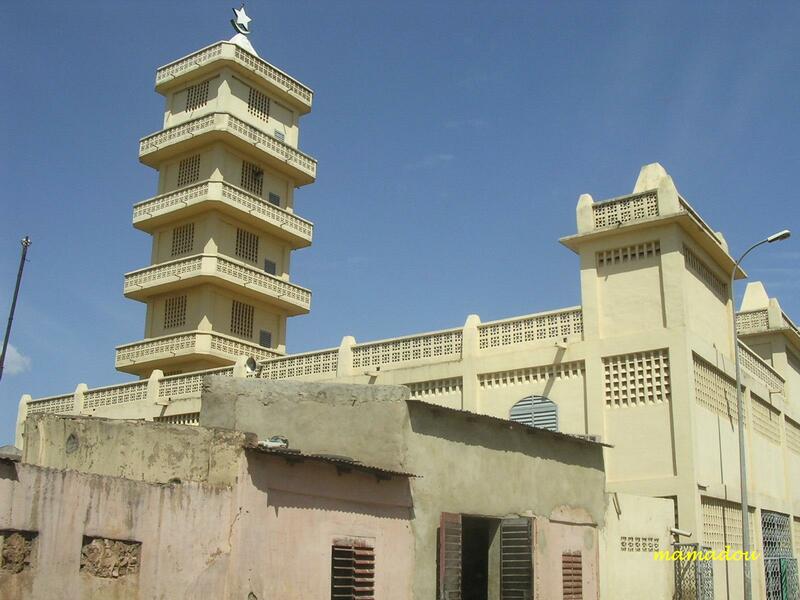 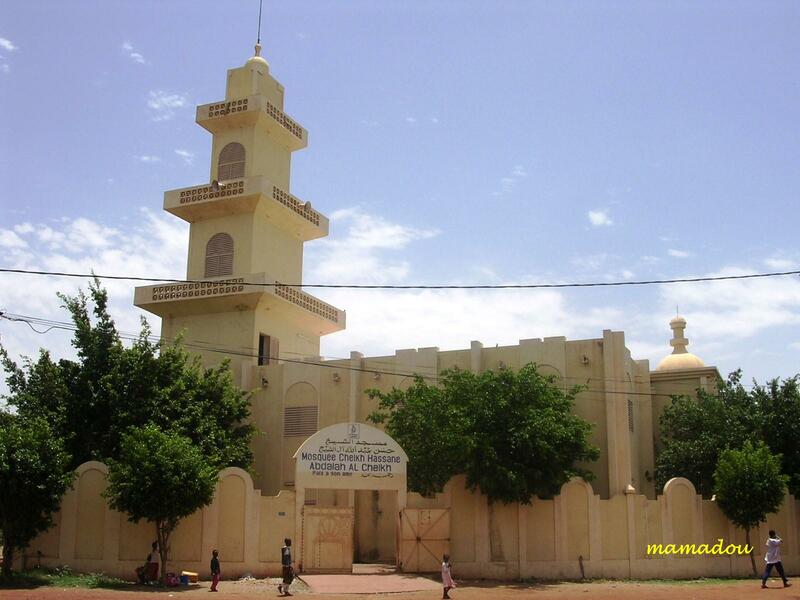 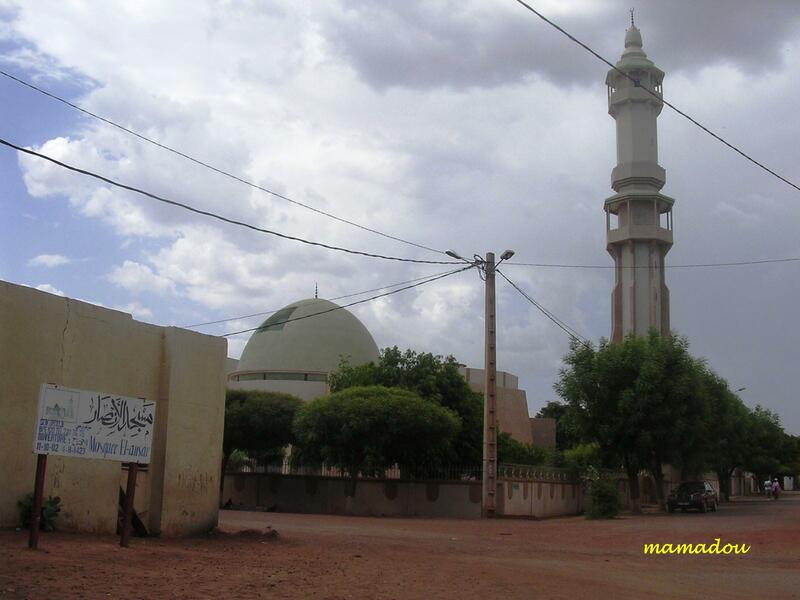 The Institute of Higher Learning and Islamic Research of Ahmad Baba (IHERIAB) is founded by the government of Mali, with collaboration of Unesco. 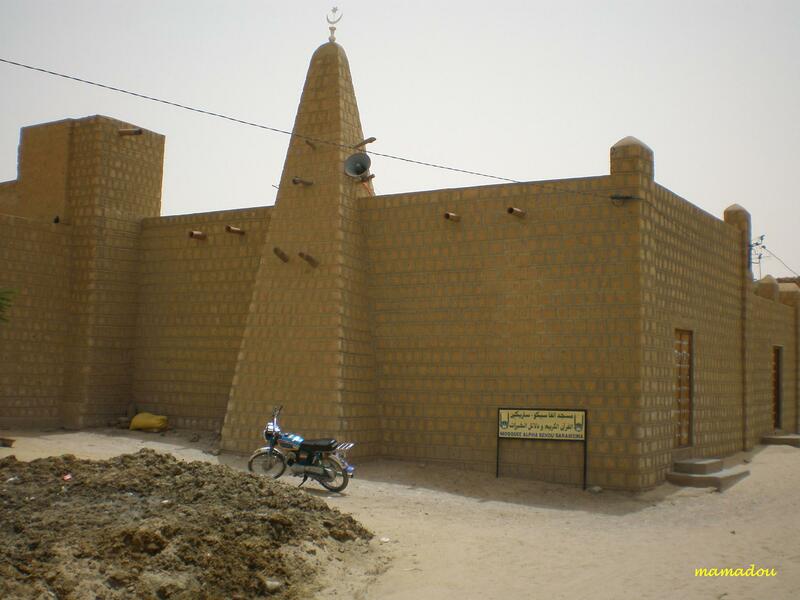 Ahmad Baba al-Massufi, Ahmed Baba Es Sudane, or Ahmed Baba, the black (1556–1627), was a medieval West African writer, political provocateur and scholar of Masjid Sankore. 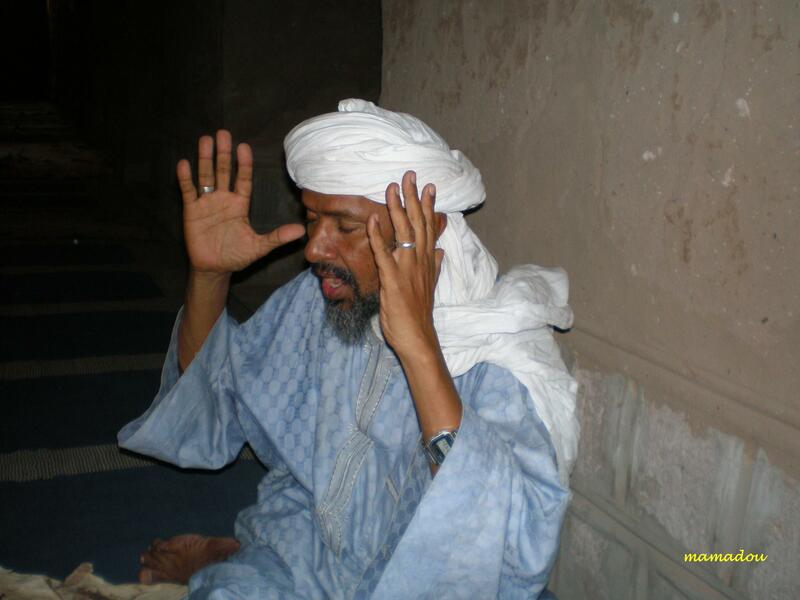 Through out his life, he wrote more than 40 books and is often noted as having been Timbuktu’s greatest scholar and mujaddid. 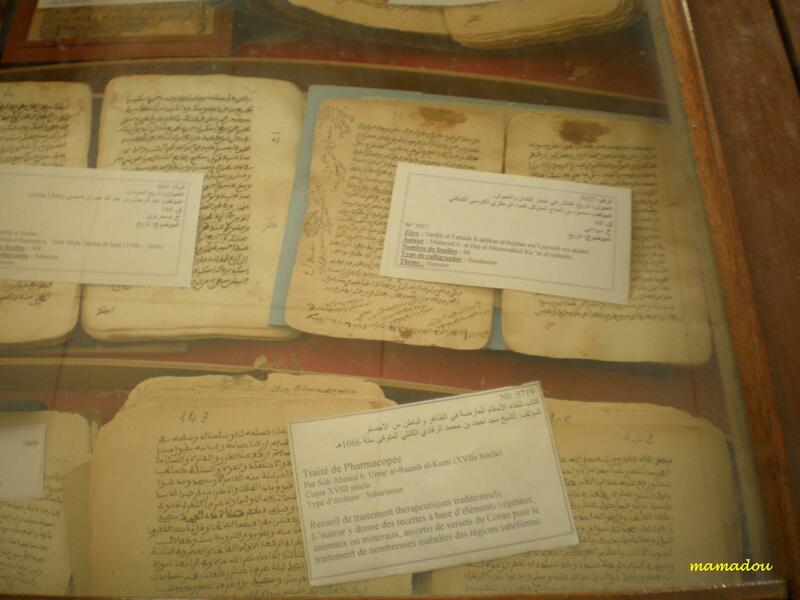 IHERIAB’s library holds some of these manuscripts in order to restore and digitize them. 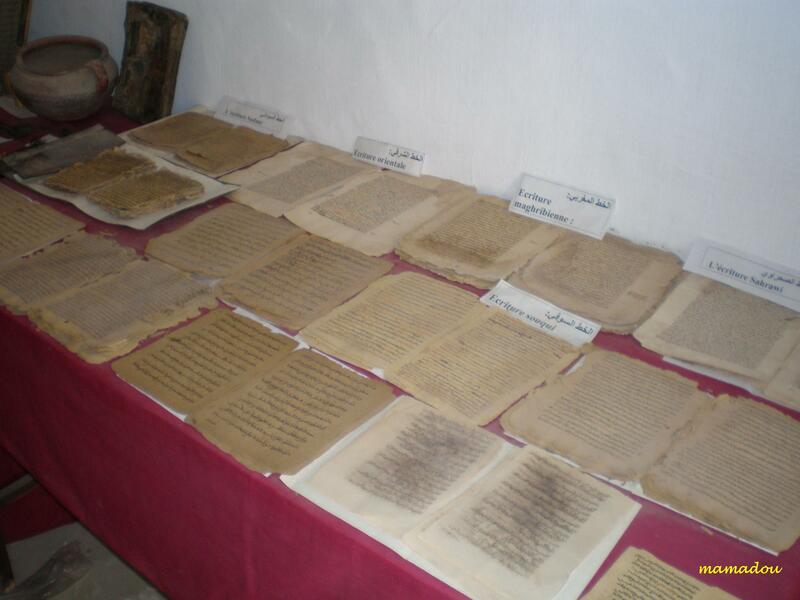 More than 18,000 manuscripts have been collected by IHERIAB, but an estimate said there are about 400,000-700,000 manuscripts in the region. 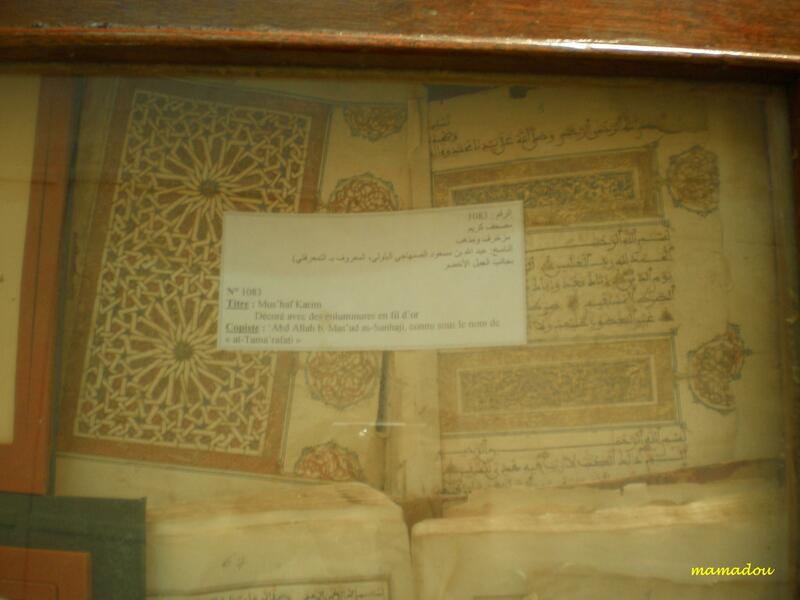 There are many other private bibliotheques in Timbuktu where thousands of manuscripts are kept. 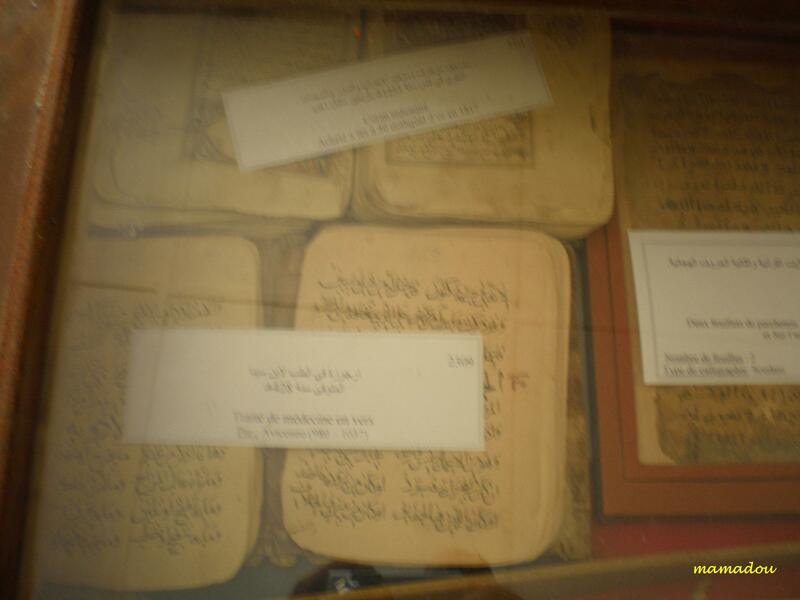 Some manuscripts were taken and kept to Paris, London, Spain and other parts of Europe. 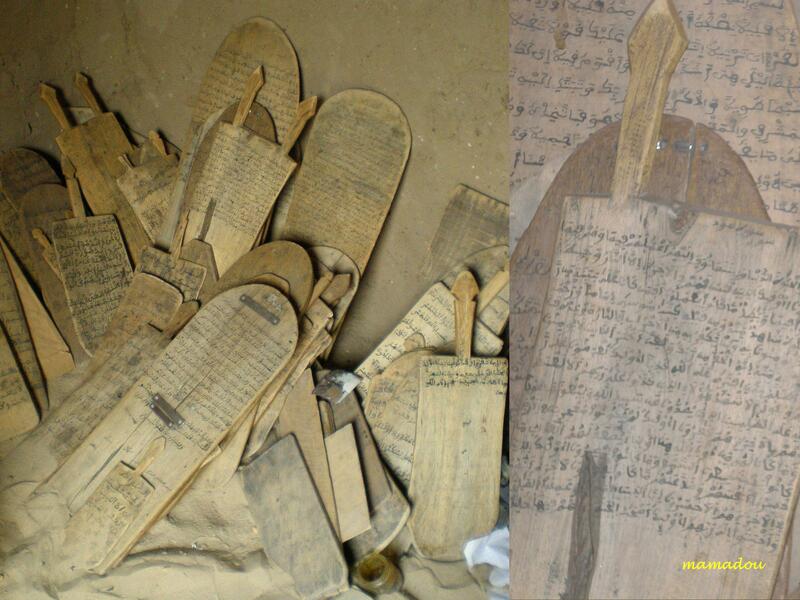 Some manuscripts were buried underground, while others were hidden in the desert or in caves. 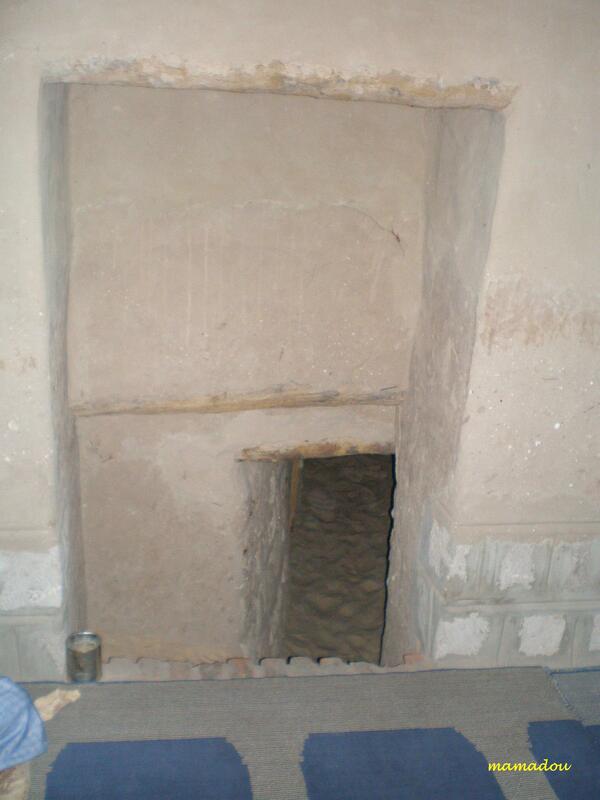 Many are still hidden today. 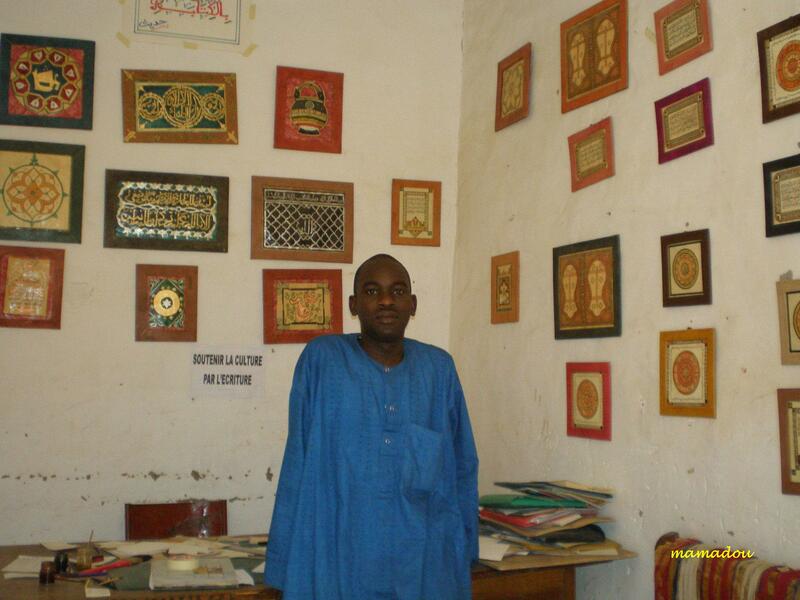 Boubacar SADECK is an art writer who copying and transfering of the 16th century manuscripts on to new medium, operates his works at Gordon Laing’s house. 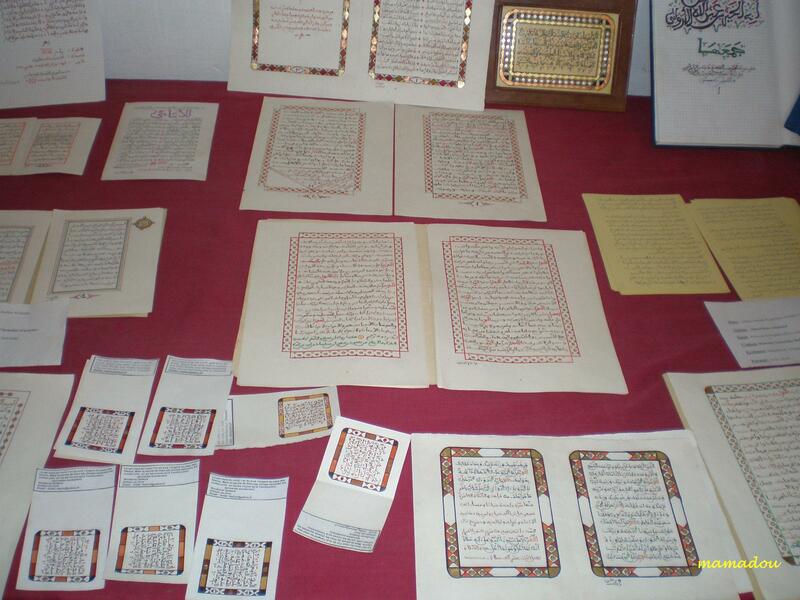 Shown are the manuscripts and his art works. 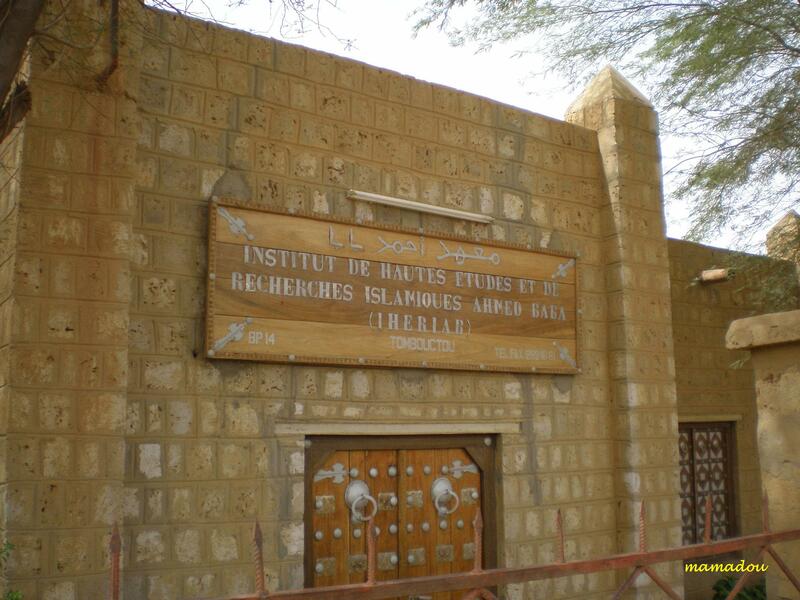 Ecole pour Talibes. 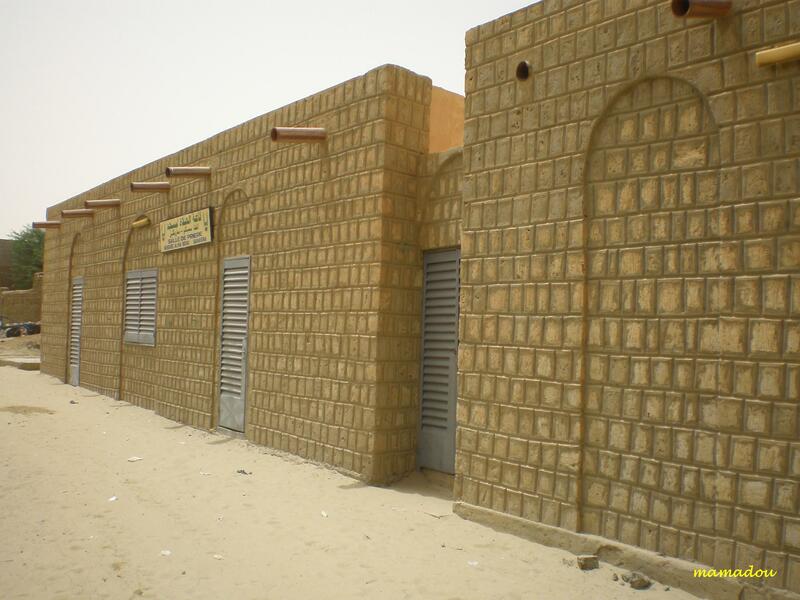 One of many Madrassah for Quran in Timbuktu and this madrassah also house of orphanage. 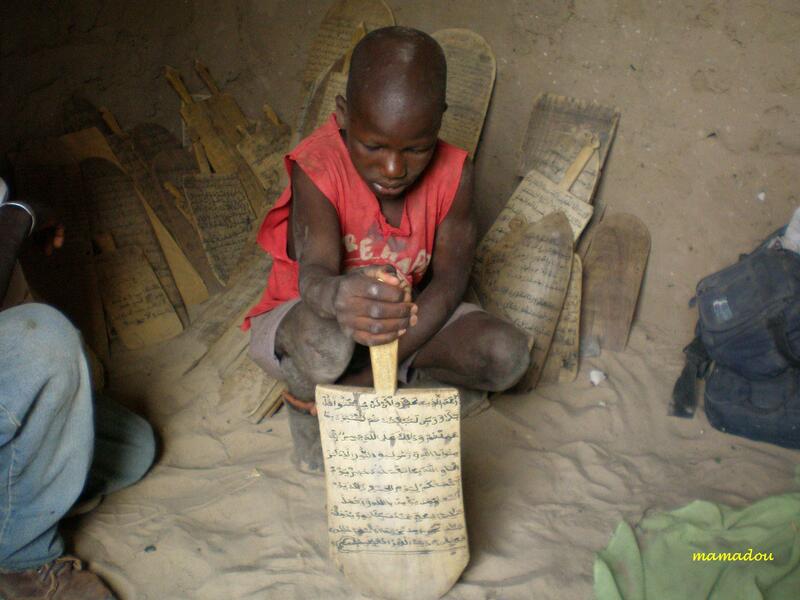 The Quran’s scripted board and the boy reading the Quran. 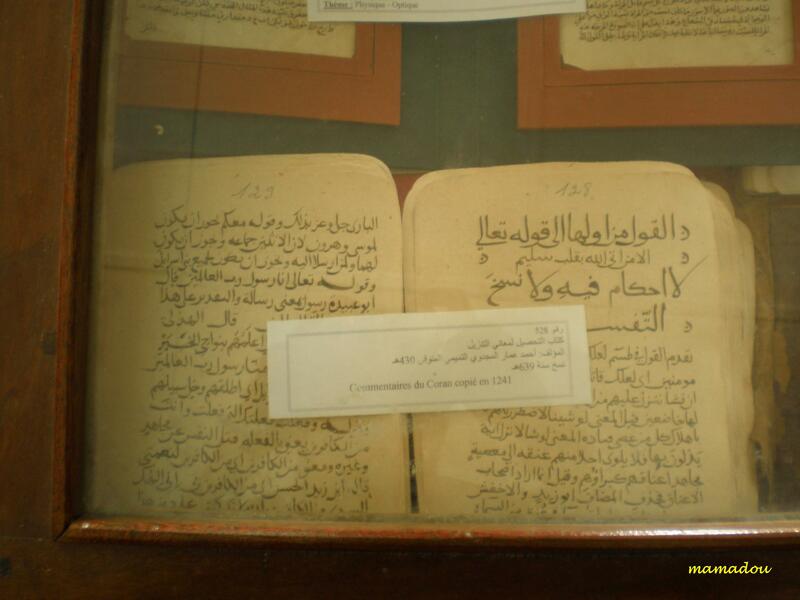 During my research, I have found this 35 minutes documentary video with title of Journey to the Empire of Knowledge narrated by Dr. Abdullah Hakim Quick (posted by zaman27). 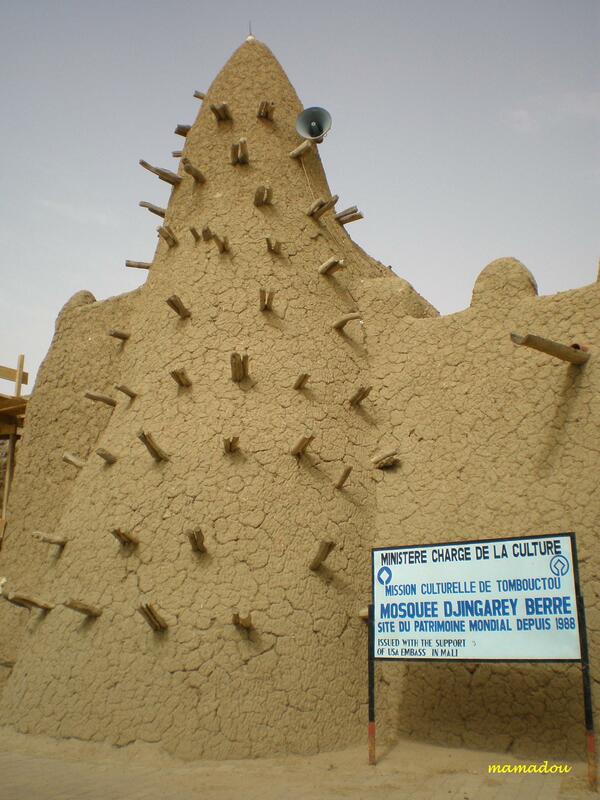 Let you enjoy viewing the great history of Timbuktu. 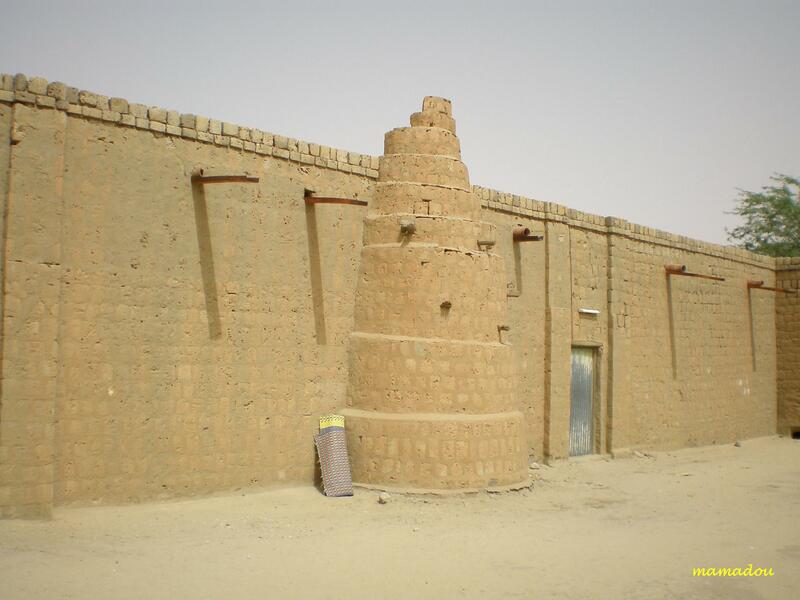 Recently I have found another interesting documentary by journeyman pictures with title of Treasures of Timbuktu. 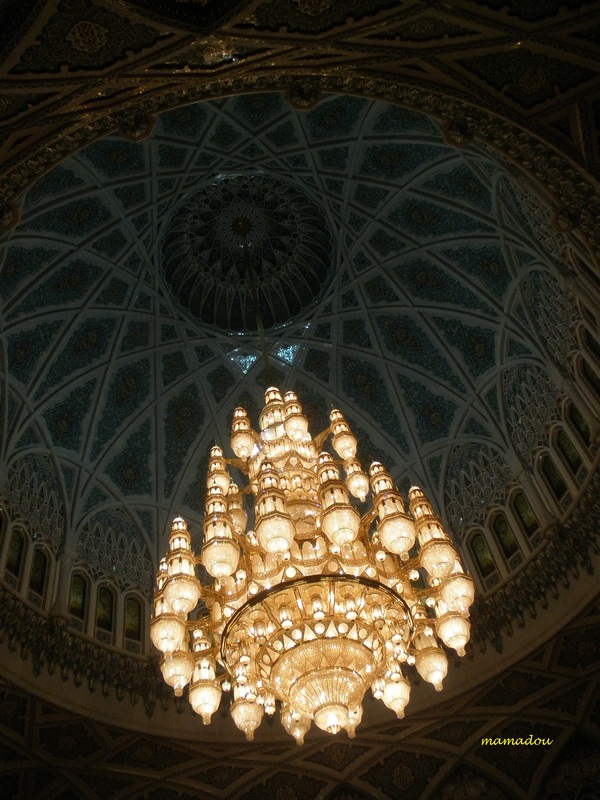 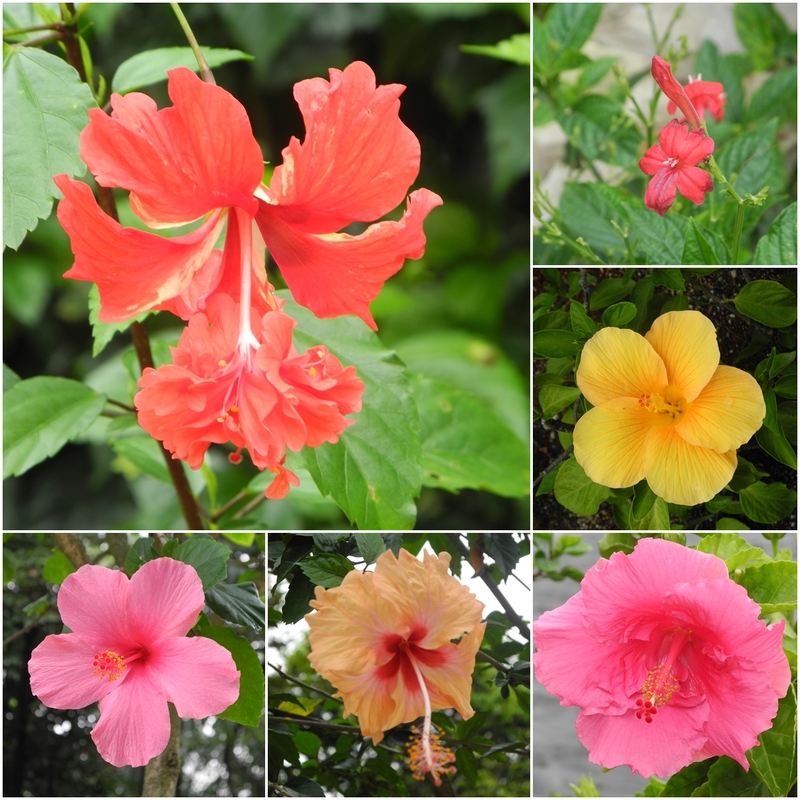 Let we discover the treasures.